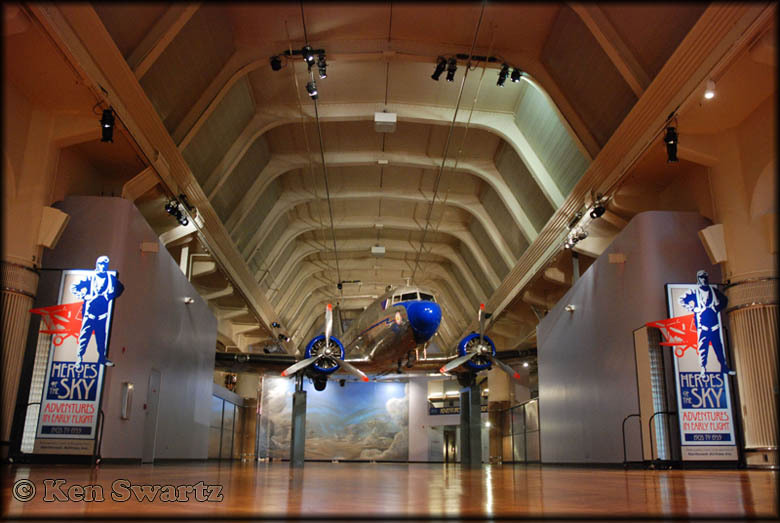 Ken Swartz shares my interest in vintage aircraft and aviation history. His focus includes the vintage large multi propellor aircraft as well as 'sky trucking' bushplanes. Comments with the photographs are mainly Ken's, additional information is sometimes added by the webmaster. The additions you'll find at the bottom of the page, though I also inserted some updates chronological. 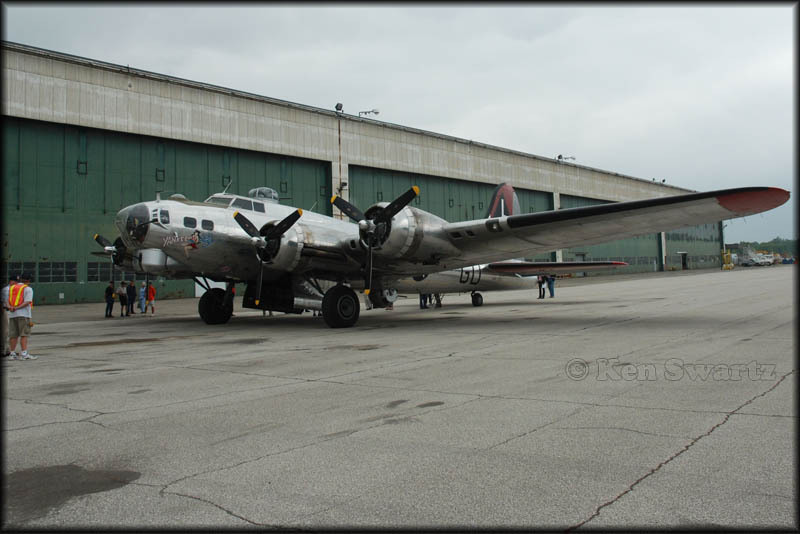 Ken wrote: "I visited the Detroit area in June 2009 and came across propliners at The Henry Ford Museum and Willow Run Airport. At the latter I was disappointed by the declining population of propliners, with the five remaining Zantop L-188s appear to be destined for the scrapyard. In the mid-1990s, you could walk amongst 30+ propliners (CV580, CV600, DC-4, DC-6, Convair 240, L-188, Beech 18, Volpar) but the scrapman has taken most of these aircraft away, after they were first stripped of their engines. See Ian MacFarlane's page. On these photos are five remaining L-188s, all without engines. There were still a couple of Convairs at the north end of the field, but they were too far away to identify." 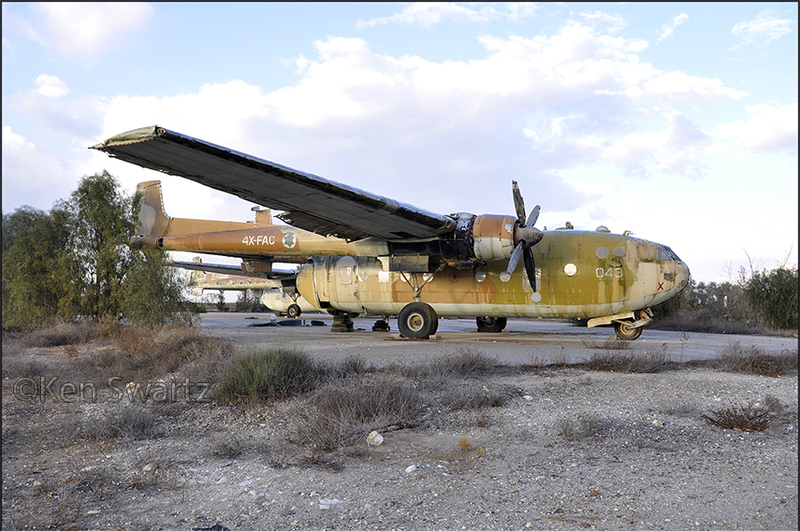 The Yankee Air Museum's DHC-4 (c/n 2) was recently painted up in U.S. Army colours. 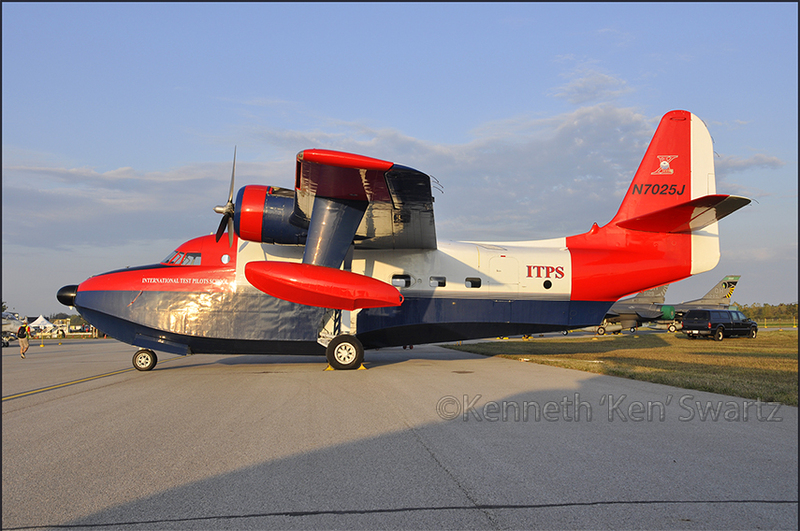 A Toronto group tried to bring this, the second prototype DHC-4, back to the de Havilland Canada (DHC) factory at Downsview in 2008, but without success alas. The serial of '24171' is false, the original 62-4171 (c/n 110) was transferred to the South Vietnam Air Force in 1972. 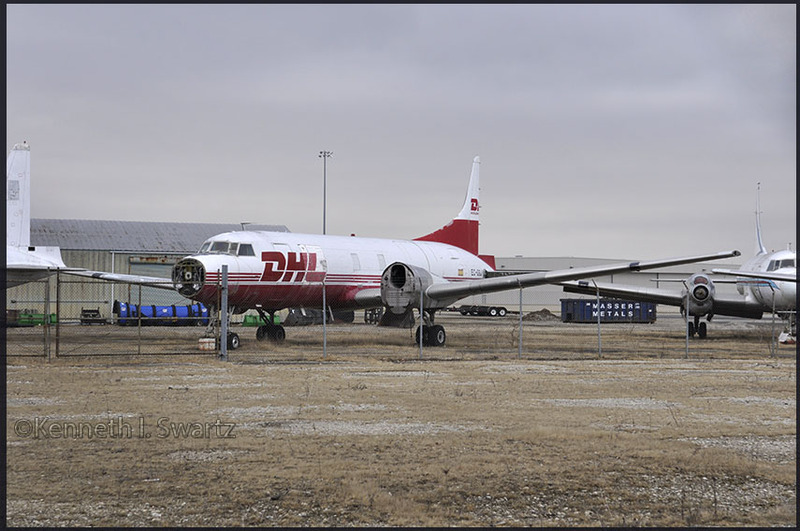 Van Buren Township -- Willow Run airport is facing severe financial problems and officials are considering a number of cost-saving options, from leasing the facility to possibly closing it. The airport's future essentially depends on how quickly the economy rebounds and whether Willow Run can hang on until then. It's a far cry from the heyday at the airport, which provided a major cargo launching point for Detroit's "Arsenal of Democracy" weaponry during World War II, and was carrying passengers before Metro Airport. The authority cut Willow Run's budget to $5.88 million for fiscal year 2009, which ends Sept. 30, and is looking to cut it again in 2010, to $3.26 million. 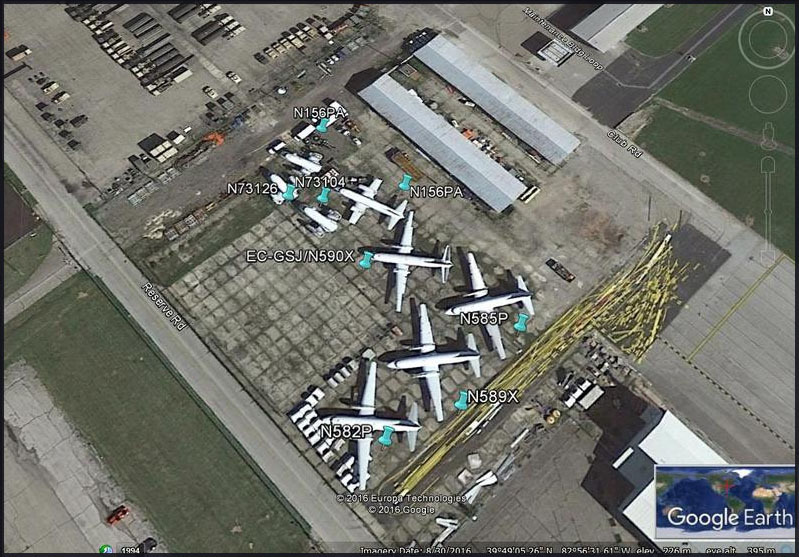 In the end, the airlines pick up the overrun for Willow Run, since the authority doesn't take taxpayer dollars. This year, the amount of cargo shuttling in and out of Willow Run has been running at less than half the levels seen last year, which were far below levels seen in 2007. The number of operations at the airport -- a count of how many take-offs and landings -- is down significantly as well. That's due to a falloff in business from the Big Three automakers, as well as waning interest from general aviation and private charter operations. Willow Run used to handle scheduled passenger service, but an agreement with the airlines operating at Metro Airport prohibits it from serving such flights, along with charter flights where tickets are sold publicly. So the airport's business relies on cargo and private air traffic. 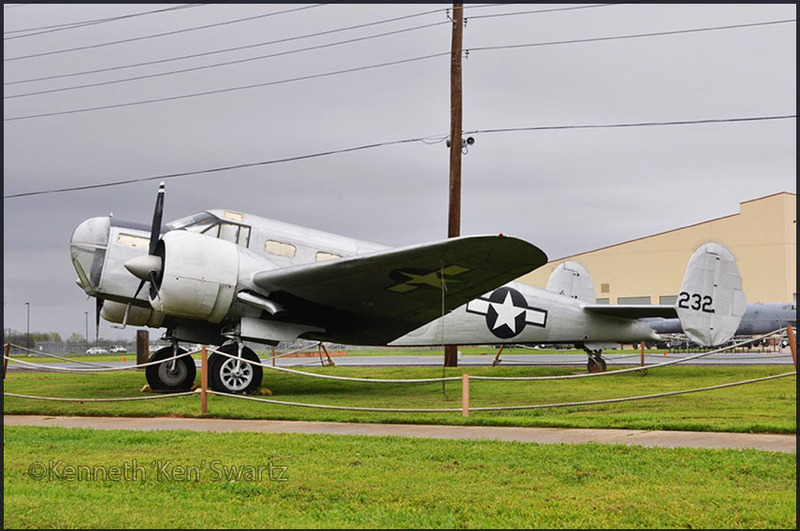 The Yankee Air Museum has an excellent collection and is worthy of a visit. Part of its (flying) collection is this World war 2 bomber, "Yankee Lady". B-17G-110-VE, N3193G, was delivered to the U. S. Army Air Corps as 44-85829, then transferred to the U. S. Coast Guard as PB-1G, BuNo 77255 in September 1946. It served at NAS Elizabeth City, North Carolina until May 1959. Ace Smelting Incorporated of Phoenix, Arizona bought it on May 11, 1959, gave it its current registration, then sold it to Fairchild Aerial Surveys of Los Angeles, CA the same month. Aero Services Corporation of Philadelphia, Pennsylvania acquired it on August 2, 1965 and sold it to Beigert Brothers of Shickley, Nebraska on October 1, 1965. 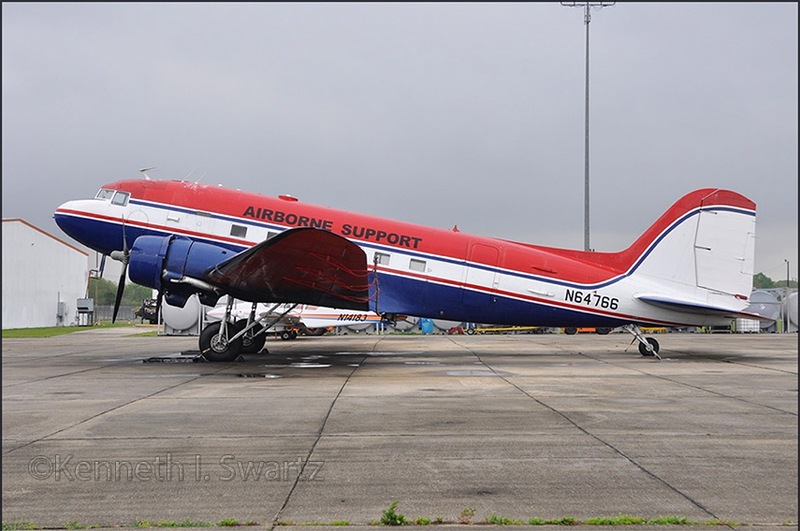 Aircraft Specialties Incorporated of Mesa, Arizona bought it on March 19, 1966 and flew it as tanker c34 and later tanker #34. It was flown to Hawaii in January 1969 to appear in the movie Tora Tora Tora. Globe Air Incorporated of Mesa, AZ acquired it along with B-17G-85-DL, N9563Z on February 18, 1981. 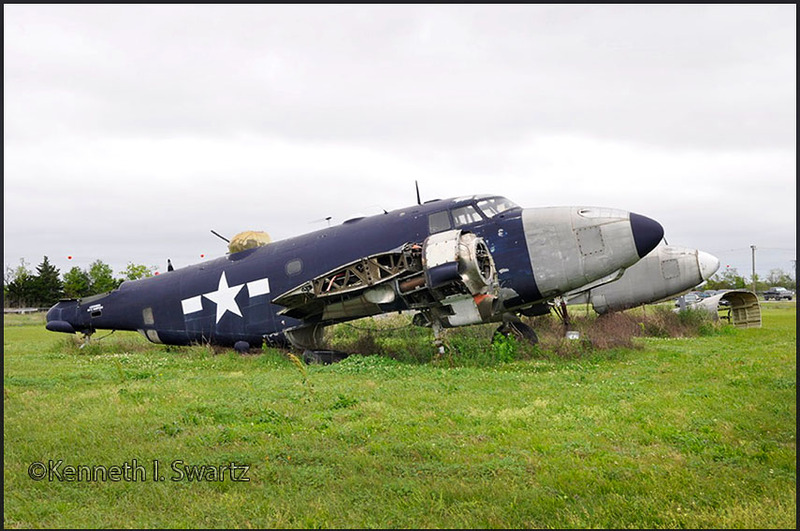 It is now named "Yankee Lady" and flies for the Yankee Air Museum at Yspilanti, Michigan. 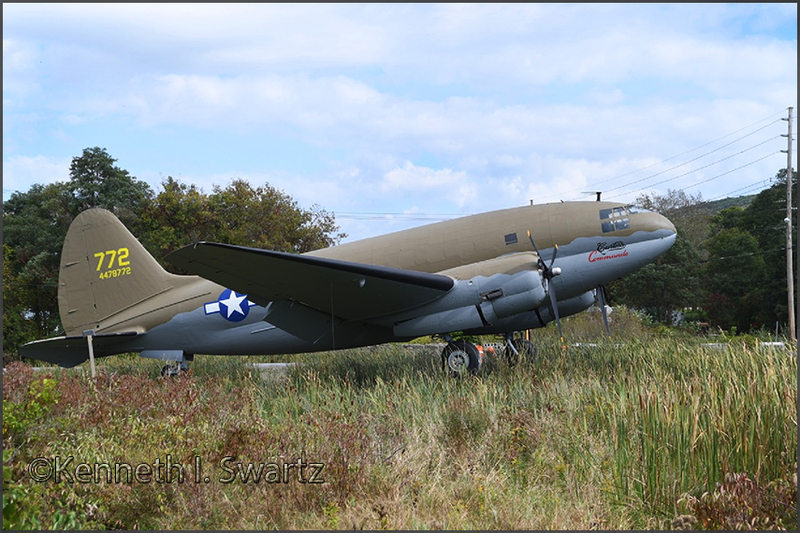 The Yankee Air Museum (YAM) is the owner and operator of this Douglas C-47 transport which is available for airshows, flybys & film and is also available for Member trips. 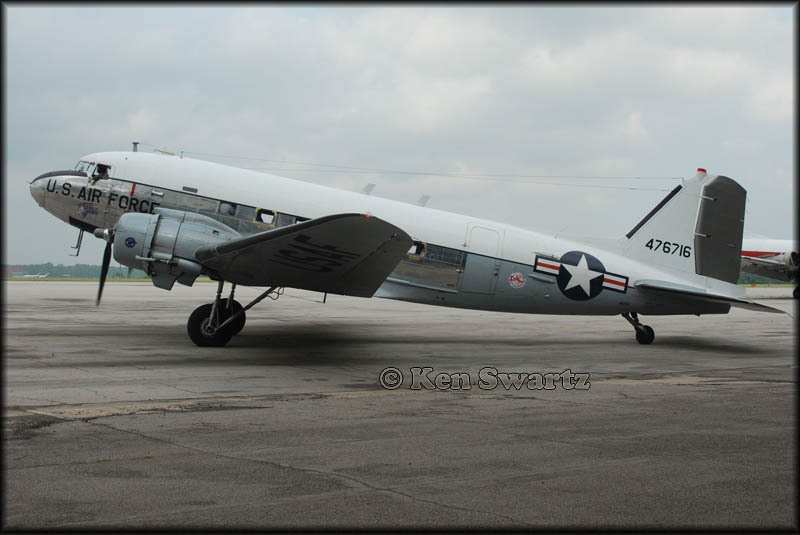 476716 (N8704) is a C-47D 'Skytrain' with c/n 16300/33048 and wears its original USAAF serial. More info on the museum's website. 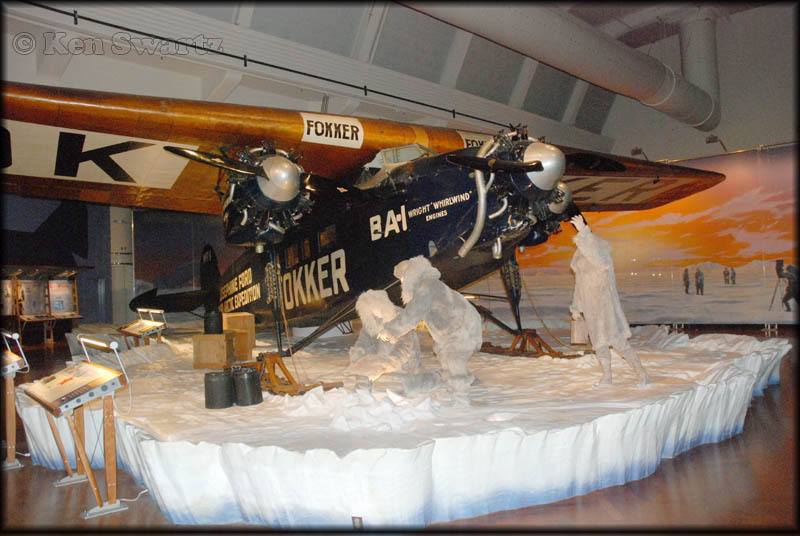 The Aviation Galleries of The Henry Ford museum were re-modeled in 2003 to celebrate the U.S. Centennial of Flight. These photos show a DC-3, Boeing 40, Ford Trimotor and Fokker Trimotor, plus the original Wright brothers bicycle shop where they did their early aviation work. This brick building and the wooden Wright family home were moved from Dayton to Greenfield Village in Dearborn by Ford. Douglas DC-3-201B N21728 (c/n 2144) in the Heroes of the Sky gallery. 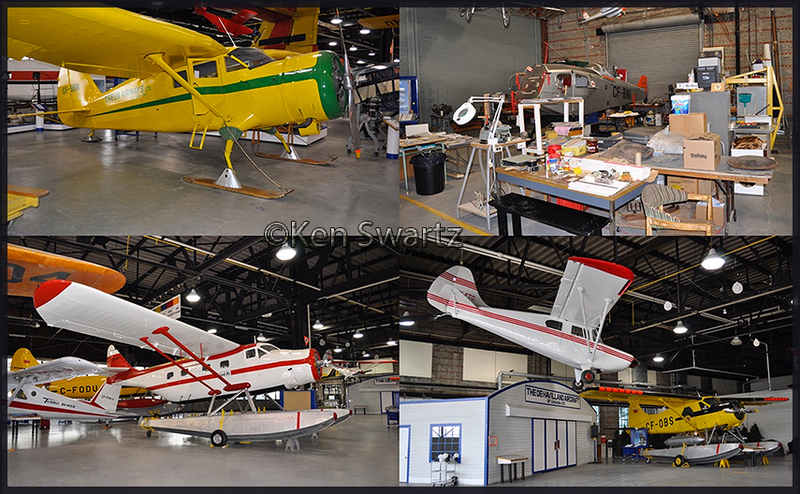 Kenneth I. Swartz visited the Canadian Bushplane Museum_Sault Ste Marie on 07Oct2014 and submitted photos of his visit. Due to time constraints and being museum aircraft and rather static I made the following compilations. Fairchild Aircraft of Canada built 12 F-11 Husky's at Longueuil, Quebec after the war. The aircraft competed against the Beaver and lost a big order from the Ontario government. The Husky had a rear loading hatch and could carry a canoe internally .. or sticking out the back of the aircraft. The cabin had more volume than the Beaver but it was underpowered (or often overloaded). In the early 1960's former wartime Fairchild test pilot Archie MacKenzie reengined Husky CF-EIM in Vancouver with a British Alvis Leonides radial engine to provide more power. In the mid-1970s, Harrison Airways announced plans to put the Husky back into production. The second Husky, C-FEIL was rebuilt using the original Fairchild tooling by Saunders Aircraft at their factory at Gimli, Manitoba and outfitted with a Alvis Leonides and flown to Vancouver as C-GCYV. When Harrison Airways went bankrupt in about 1977-1978, this aircraft sat outside at YVR and was acquired by the Western Canada Aviation Museum. 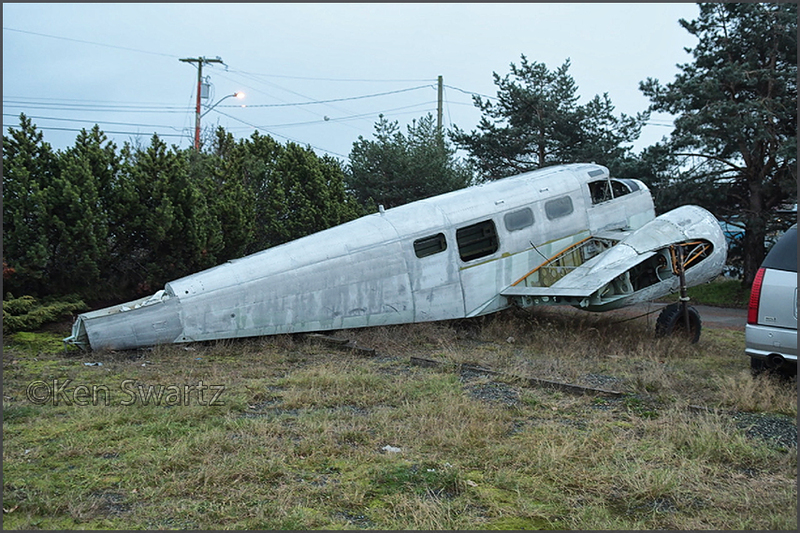 The WCAM was very active salvaging bush planes from crash sites in the 1970s and early 1980s. This included the prototype CF-BQC which crashed in BC and CF-MAN which crashed in the Yukon. 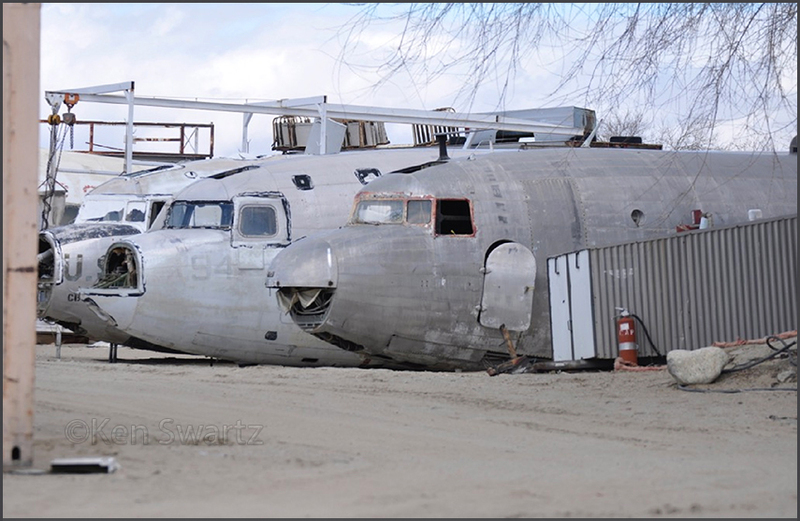 Both these wrecks were seen on October 2014 in the WCAM storage yard at St Andrews Airport north of Winnipeg. Two other Leonides Husky's on the west coast - CF-EIR and CF-SAQ - last flew with Island Air at the Campbell River, which became part of Air BC. In August 1980 both aircraft were were retired and dismantled at the Campbell River spit seaplane awaiting donations to museums. Air BC donated CF-EIR to the WCAM and it later went to the Bushplane Museum. And AirBC CF-SAQ went to the Canadian Museum of Flight near Vancouver. The last Husky in service was CF-EIM which spent most of its career from the late 1960s flying with Jack Anderson's North Coast Air Service at Seal Cove in Prince Rupert. It was the last airworthy Husky by 1980 and in about 1984-1985 had a landing accident and sank near Seal Cove. It was salvaged and donated in the summer of 1985 to the Canadian Museum of Flight and Transportation which already had CF-SAQ in its collection. Vazar owns the STC for the most popular DHC-3 Turbo Otter kit. In the 1990s, Vazar announced plans put the F-11 back into production as a single engine turboprop with a PT6 and bought a couple F-11s from Museums and these aircraft are reportedly stored on a farm in the Langley, or Abbotsford area, east of Vancouver. There has been no recent news on this project. Vazar bought one or two Fairchild F-11s from museums. This is the prototype Turbo Beaver. 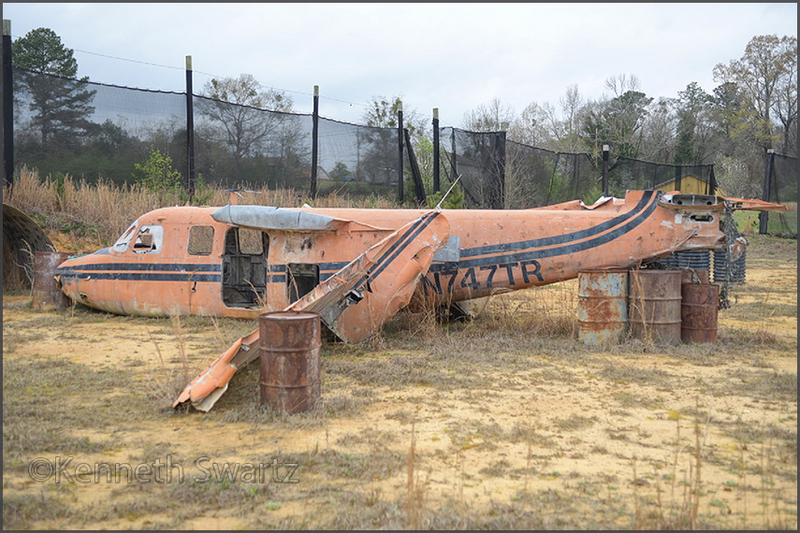 It was used as a chase plane at DHC until it was involved in an accident in the late 1980s. It was moved to the DHC bone yard, accident sold for scrap, bought back by Boeing DHC and given initially to the DHC Employees Sports Club. It was displayed briefly at the Toronto Aerospace Museum in the Early 2000s, then donated to the Canadian Bushplane Museum where it was restored in about 2014 to its original markings. 4) The Saunders ST-27 was stretched twin PT-6 conversion of a four engine DH 114 Heron developed by David Saunders. The first prototype ST-27, CF-YBM-X powered by PT6-A27s flew on 28May1969; 12 conversions were completed. 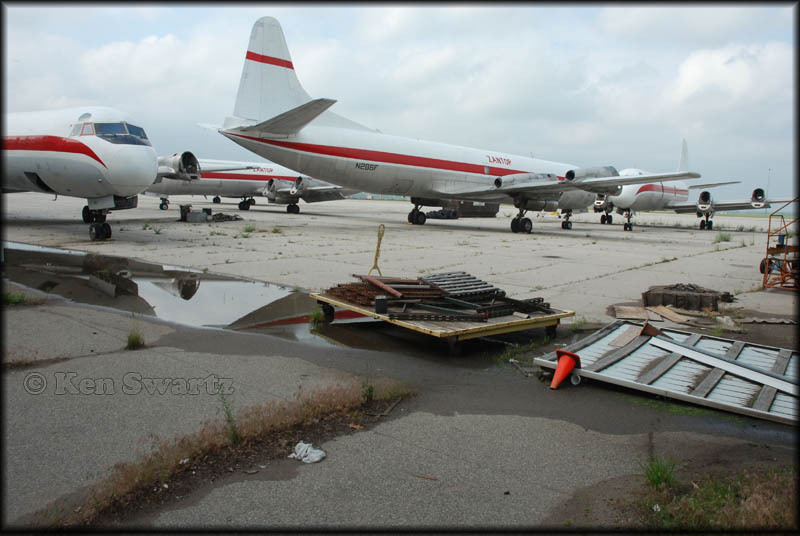 Saunders Aircraft moved from Montreal-Dorval to Gimili Manitoba in early 1971. The new ST-28 was being developed when the company folded in 1976. Ken Swartz recently shared these images (sent Feb.2017) with me as he had been on a glorious propliner roadtrip on the US westcoast last year. back, without wings, an unidentified one. In 2012 I saw it at the Classic Aircraft Aviation Museum, but the museum wasn't open, had closed shop by then? Roy Blewett advised me:"N115SA moved to Aurora from Hillsboro in Oct.2012 and is now owned by the Down Ampney Project. It will be restored into RAF D-Day markings and eventually go to the UK. 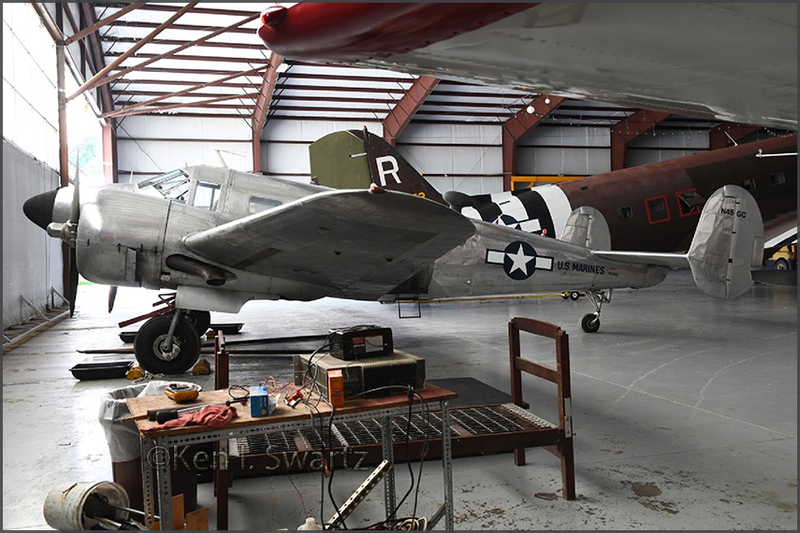 "Aerometal International is dedicated to the restoration, maintenance, and preservation of classic, vintage and warbird historic aircraft. 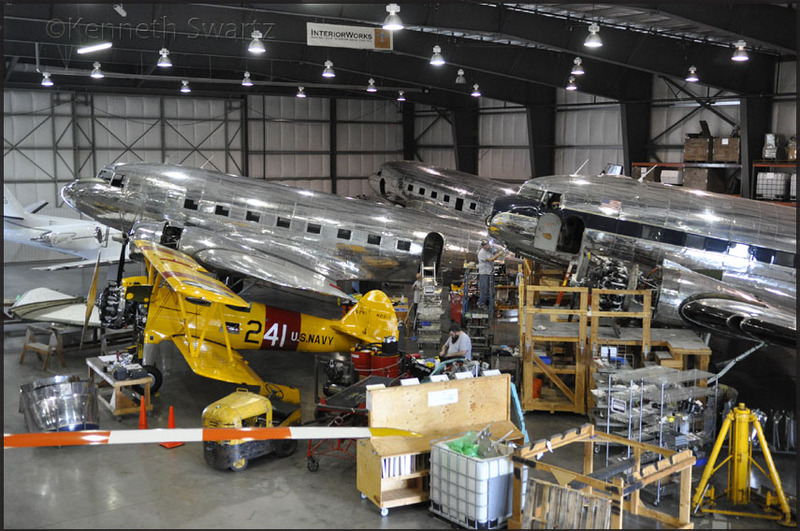 During my visit to Aurora Airport on August 2016, there were three DC-3s being restored inside the hangar for private clients. 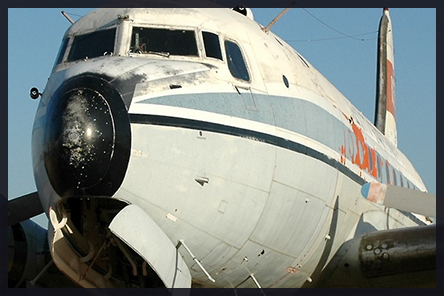 The restoration work we saw was extensive and included in-depth airframe inspections, anti-corrosion treatment, complete rewiring and the restoration of classic airline and VIP interiors. A couple of the people working in the workshop on the day of our tour have also restored historic aircraft at the Evergreen Aviation Museum in nearby McMinnville, OR". located in Snohomish County, between Mukilteo and Everett,WA. 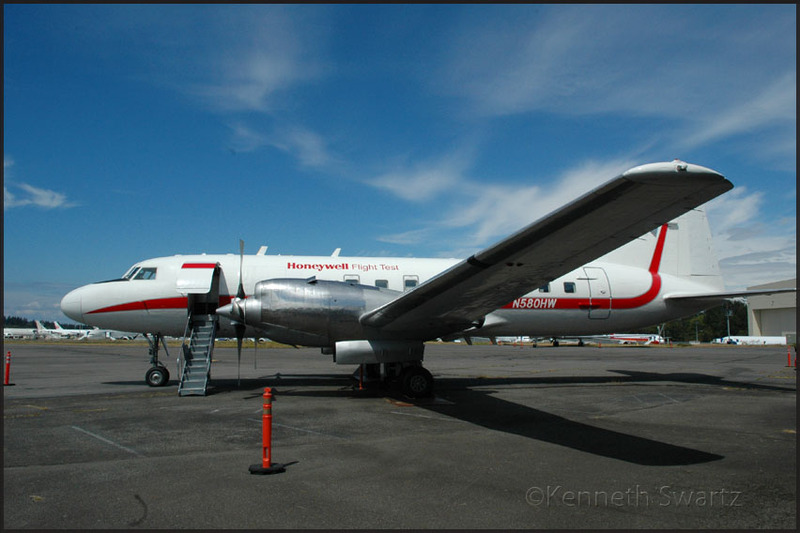 The Honeywell PAE-base is supposed to close and these aircraft are expected to move to Arizona (or New Mexico?). 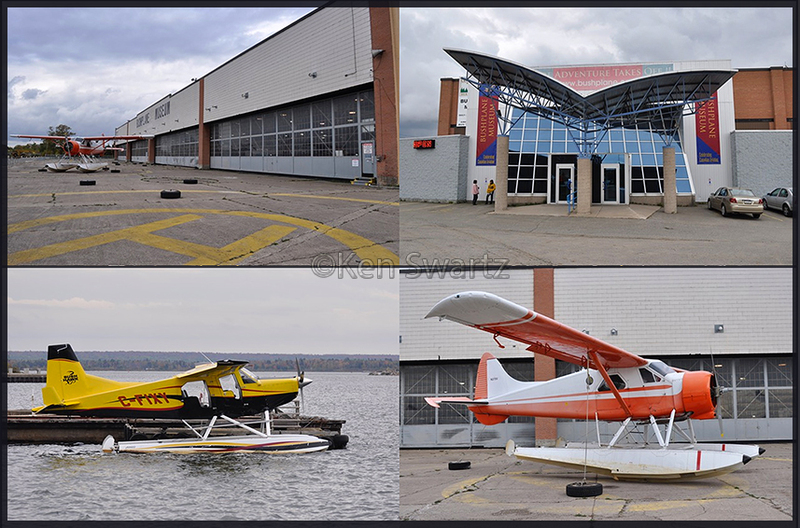 Air Mount Laurier has a float plane base in the Village of Sainte Veronique in the Rivière Rouge area. The bush flying service has 6 fly-in camps on isolated lakes north of Sainte Veronique for hunting, fishing and wilderness adventures. The company also has a float plane base at LG4, which is a northern logistics hub serving Hydro-Québec's James Bay Project. The name refers to the the La Grande-4 hydroelectric generating station on the La Grande River. The air service also has a remote caribou hunting camp in the far north of Quebec. Sainte-Veronique is located 62 km north of St Jovite (now part of Mont-Tremblant) and 192 km Northwest of Montreal, Quebec. Lake Ouimet in St Jovite was the site of the famous Grey Oaks resort founded by the Wheeler family in a wilderness area north of Montreal. Grey Oaks resort was one of the first companies in Canada to use aircraft to fly guests to remote hunting and fishing camps, and Grey Oaks was one of the first Canadian resorts to have an airstrip and invite US pilots in the 1930s to fly directly to the resort for a holiday. 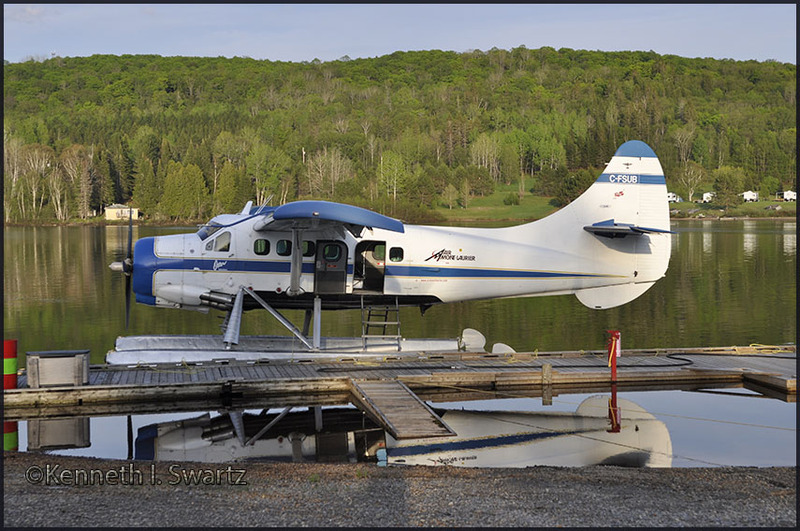 Wheeler Air Service operated a large fleet of floatplanes in the 1930s, 1940s and 1950s to serve its guests and for charter to natural resource industries and government agencies. Wheeler was a major contractor supporting construction of early warning radar lines in northern Canada in the 1950s and a prime contractor on the massive budworm spraying contracts in New Brunswick in the 1950. After the Second World War, the Wheeler family helped develop the Mount Tremblant resort which ultimately became a bigger attraction than Grey Oaks. No Bush planes or Propliners can be found at Lake Ouimet today, but Air Mount Laurier to the north carries on a tradition that Tom Wheeler began in the 1920s! Karl E. Hayes wrote a lengthy article on Otter c/n 8 in his DHC-3 monograph, like 3 pages of text. I have cut it down a bit. Msn 8 was delivered to the RCAF with serial 3662 on 28th March 1953, the same day as 3661, the Force's first Otter. Its first assignment was to 408 Squadron, Rockcliffe, carrying the unit's MN code, the squadron history recording that by 2nd April '53 3662 was engaged on local pilot familiarisation flights. It was transferred to 102 Communications Unit, Trenton in September 1953. The Otters operated out of Winnipeg on wheel-skis during the winter, and on floats from Lac du Bonnet during the summer; 3662 continued in service with 111 Communications & Rescue Flight at Winnipeg until September 1957, when it went to No.6 Repair Depot at Trenton for storage as a reserve aircraft. It was sold to DHC in June 1965, who converted it to civilian configuration. The Otter was then sold to Coast Range Airways Ltd of Atlin,BC to whom it was registered on 7th February 1966 as CF-SUB. Atlin is in the northern part of the Province, near to the Yukon border. The Otter was hauling fuel, diamond drills and supplies for mining and exploration camps. In the spring of 1967 Coast Range Airways was purchased by Trans North Turbo Air Ltd of Whitehorse, Yukon principally for its helicopter charter licence and its one Bell 47G helicopter. It was also used during the summers of 1966 and 1967 for water-bombing forest fires with a 'torpedo-type' tank hung under the fuselage. On 16th November 1967, the Otter received some damage at its Atlin base but was repaired. In the fall of 1967, Trans North Turbo Air sold the fixed-wing portion of their fleet, a Super Cub, Beaver and the Otter SUB to Great Northern Airways Ltd of Calgary. The Otter was reg'd to Great Northern Airways on 17th July 1968 and painted in a blue colour scheme with red cheat line. During the summer of that year, a blown jug caused a forced landing onto Margaret Lake, a small lake north of Mayo in the Yukon. After the necessary repairs were made to the engine, the take-off was not so successful and the Otter went careening into the bush at the end of the lake, tearing the floats off and doing much damage to the fuselage. The aircraft had to be slung out in pieces to a nearby strip and bushrepaired, using parts from a steel bed frame to re-enforce it for the ferry flight out. It headed south to Field Aviation, Calgary for repair and was then temporarily fitted with a set of borrowed amphibious floats, so that it could finish the season based out of Inuvik in the Northwest Territories. CF-SUB continued to fly for Great Northern Airways until that carrier went bankrupt in December 1970. Its assets and licences were bought by International Jet Air Ltd of Calgary. Their main interest was the 'E'-category licence which Great Northern had held, which enabled International Jet Air to establish a scheduled and charter service over the routes Great Northern had operated, using a fleet of Lockheed L188 Electras. On 5th April 1971 Otter CF-SUB was registered to International Jet Air, but it was not operated by them and was kept in storage at Calgary. 'C-'licences which Great Northern Airways had held (for operation of aircraft in the Cessna 185 up to Otter category) to Trans North Turbo Air, and included in the sale were four Beavers, two Aztecs and Otter SUB. The Otter was registered C-FSUB to Trans North Turbo Air (1971) Ltd on 4th May 1972 and painted in an all yellow colour scheme with red trim. The Otter was operated by Trans North Turbo Air alongside a fleet of Beavers and Turbo Beavers for the next seven years. For winter 1972 it was based out of Inuvik on wheel-skis, for reindeer management, seismic and oil exploration support. During the summers it flew from Schwatka Lake, Whitehorse on floats. During this period of operation with Trans North Turbo Air, there were a few incidents recorded but damages were repaired. In 1978 Trans North Turbo Air decided to get out of single-engined fixed wing bush flying. 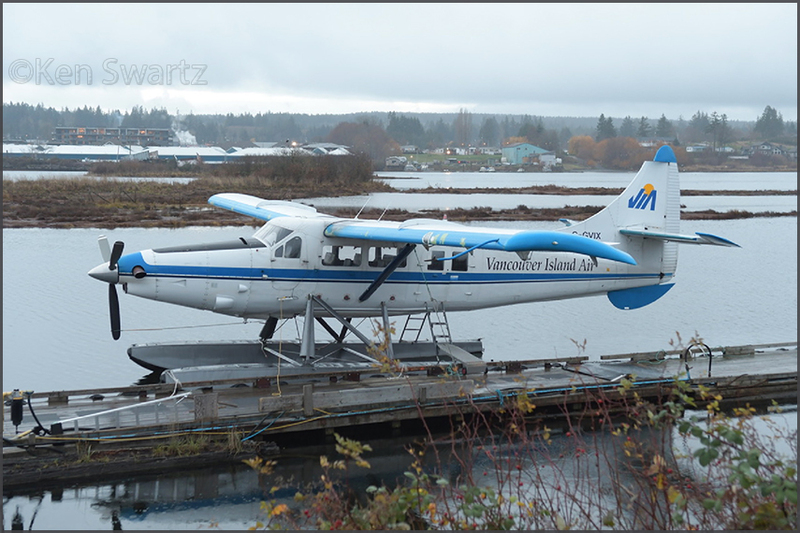 Otter C-FSUB was sold in the fall of 1978 to a Vancouver man named Walter Davidson, who was in the logging business, but its next operator was Tyee Airways Ltd of Sechelt, BC to whom it was registered on 23rd April 1979. The Otter flew down to Sechelt, which is just north of Vancouver, where it joined the Tyee fleet of Beavers and Cessna 185s. Sechelt is a native word for 'place of shelter from the sea'. The Otter did not stay long with Tyee Airways, and its next posting was in fact back to Whitehorse in the Yukon, where it joined the fleet of Air North Charter & Training Ltd, to whom it was registered on 12th June 1980, named 'Bert'. Air North are one of the major operators in the Yukon and C-FSUB resumed its charter operations throughout the Territory, flying alongside Air North's other Otter C-FQOQ. Only one incident is recorded while SUB was flying for Air North, exact date unknown, but it was not long after the Otter entered service with them. The accident site was about 250 miles from Dawson City. The Otter landed on a section of the Dempster Highway, which also served as an airstrip, but had run off the strip, causing considerable damage to the propeller, engine mount, cabin roof and a bent right wing. The repairs were carried out by Denny McCartney, the whole episode being well described in his excellent book 'Picking Up The Pieces'. This book is a great and recommended read! It emerged from the hangar on 21st March 1985 in full Harbour Air colours, on floats. It was registered to Harbour Air on 30th April 1985. It flew with them for that summer, before heading north up the BC coast to Prince Rupert, where it was registered to North Coast Air Services Ltd on 1st November 1985. 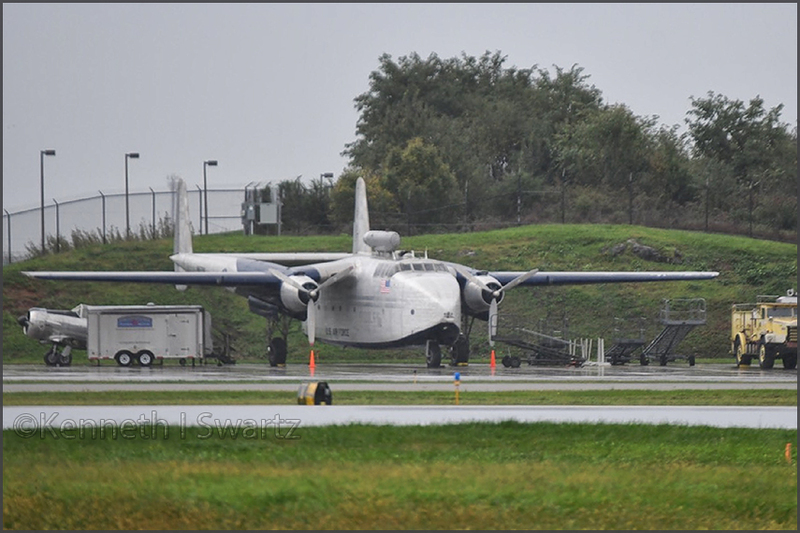 It joined their fleet of 4 Beavers, a Fairchild Husky and a Grumman Mallard and flew for North Coast for nearly 2 years. 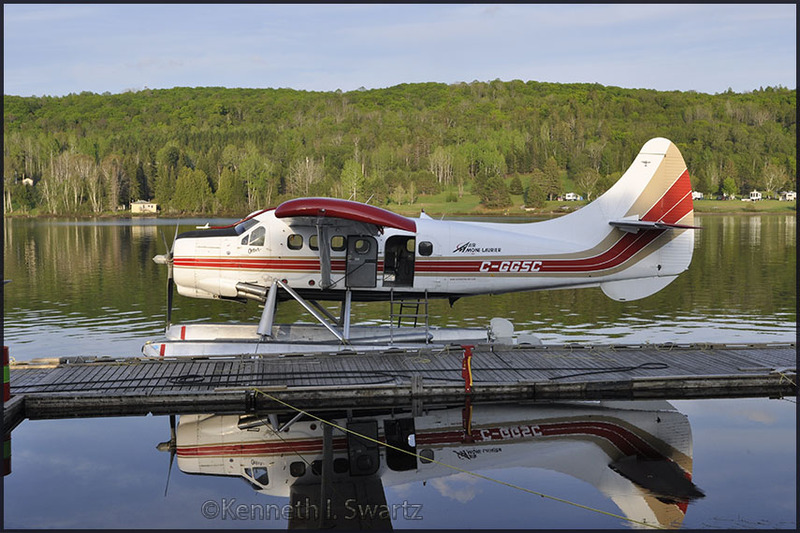 Having served all of its commercial existence thus far in Western Canada, it then moved eastwards, where its next operator was V.Kelner Airways of Pickle Lake,ONT to whom it was registered on 3rd June 1987. It flew that summer out of Pickle Lake and then moved further east, when it was acquired by Cargair Ltee of Quebec, to whom it was registered on 1st October 1987. Since then, SUB has served with Cargair, based at St.Michel-des-Saints during the summer months on floats, being put into storage each winter. The Otter was used to fly tourists, hunters and fishermen into the beautiful wilderness areas of Quebec. It also supports exploration camps in the James Bay area. During the caribou hunting season of August/September each year, the Otter flies out of the LG-4 base on the La Grande river, flying the hunters to the James Bay region in search of their prey, before returning to St.Michel-des-Saints for winter storage. As of May 2001, the Otter had accumulated 21,000 airframe hours.
' SUB was noted in the hangar at St.Michel-des-Saintes on 4th May 2004 having just had a new R-1340 engine installed. It entered the water the following day for the first flight of the 2004 summer season. 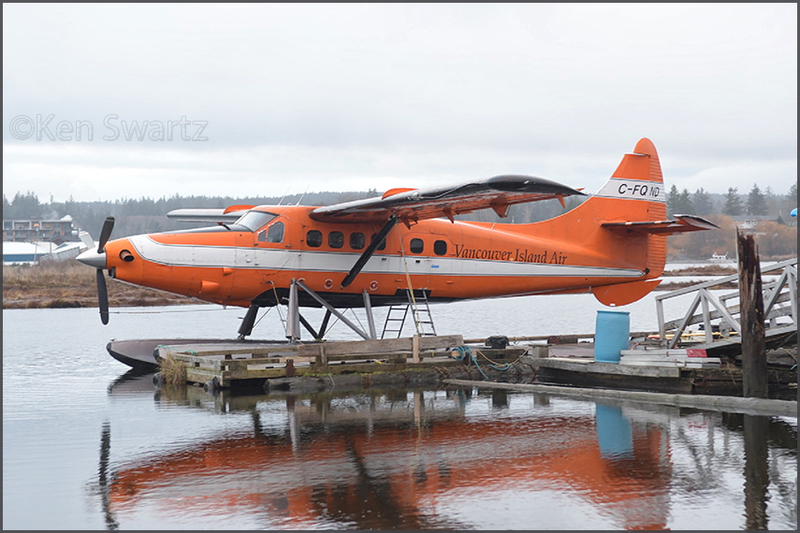 In 2007 the bush aircraft division of Cargair, including the Otter, was purchased by Air Mont Laurier (1985) Inc of Ste.Veronique, Quebec to whom C-FSUB was registered on 5th April 2007. 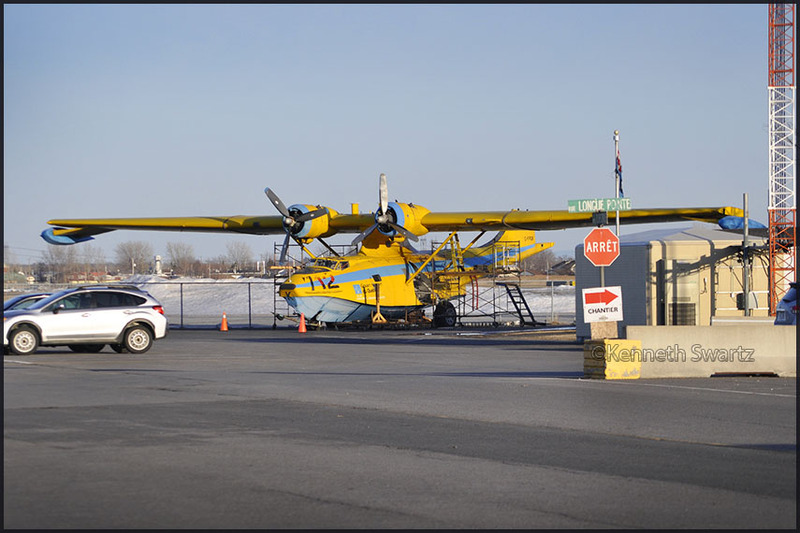 Air Mont Laurier also operate Otter C-GGSC (366), both Otters still with their original R-1340 engines. Karl E. Hayes wrote a lengthy article on Otter c/n 366 in his DHC-3 Otter monograph. I have cut it down a bit to fit the purpose of this website and –page. It describes nicely its history and use over the years. Otter msn 366 was delivered to the United States Army on 25th March 1960 with serial 59-2222. It was allocated to Fort Riley,KS as an operational support aircraft and in April 1962 it joined the 17th Aviation Company, Fort Ord, California. In February 1966 92222 joined the Otter Transition School at Fort Ord, CA where it acquired the nick name 'Quad Deuce'. Its role was to transport soldiers to and from Travis AFB and to transport VIPs and cargo to other military installations, notably Crissy Field, San Francisco. Also included was aerial medical evacuation for wounded soldiers returning from Vietnam and participated in air shows and displays throughout California and Nevada. 92222 continued flying for the School until it closed. With the withdrawal of the Otter from service in Vietnam in the early part of 1971, there was no longer a need for an Otter Transition School. In May '71 'Quad Deuce' moved to Fort Lewis, Seattle,WA as an operational support aircraft. In July 1972 its official record describes it as being loaned out for non-military use, which was the Environmental Protection Agency survey project. This lasted until February 1976, when it joined the Army Electronics Command at Lakehurst NAS,NJ as a test aircraft. In August 1976 'Quad Deuce' headed west, crossed the country to its new base at Fort Huachuca,AZ where it served as a test aircraft supporting the Electronic Proving Ground. The Otter continued flying from Fort Huachuca until its military career came to an end in April 1979. On 24th April '79 it was transferred to the Civil Air Patrol (CAP) registered N5072F and assigned to the CAP's Southwest Region,TX. It was put up for sale the following year, and by Bill of Sale dated 1st May 1980 was sold by the CAP to Waggoner Aircraft Inc of Wiley Post Airport, Bethany,OK. At that stage of its career, it had 6,116 hours on the airframe. On 8th July 1980 it was sold on by Waggoner Aircraft Inc to Air Ranger Ltd of Winnipeg. 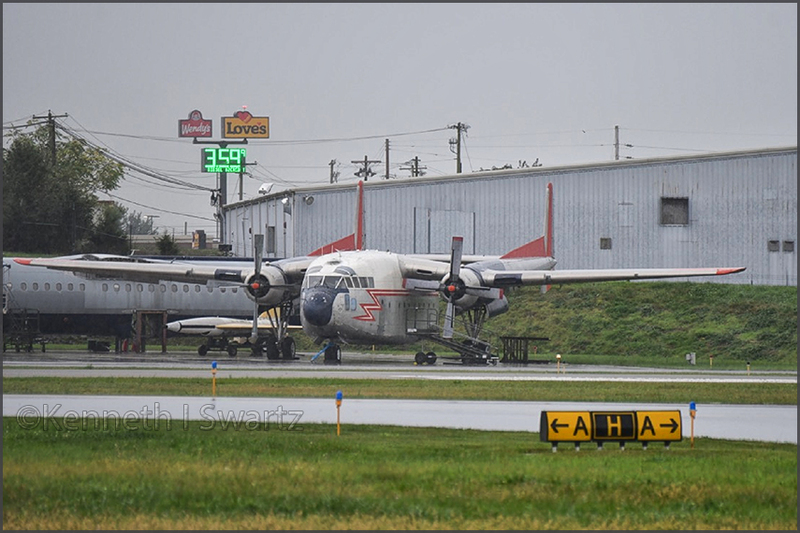 It appears that the Otter had remained in Texas, as it was ferried from there to Winnipeg, where it was overhauled by Manwest Aviation and registered C-GGSC to Air Ranger. 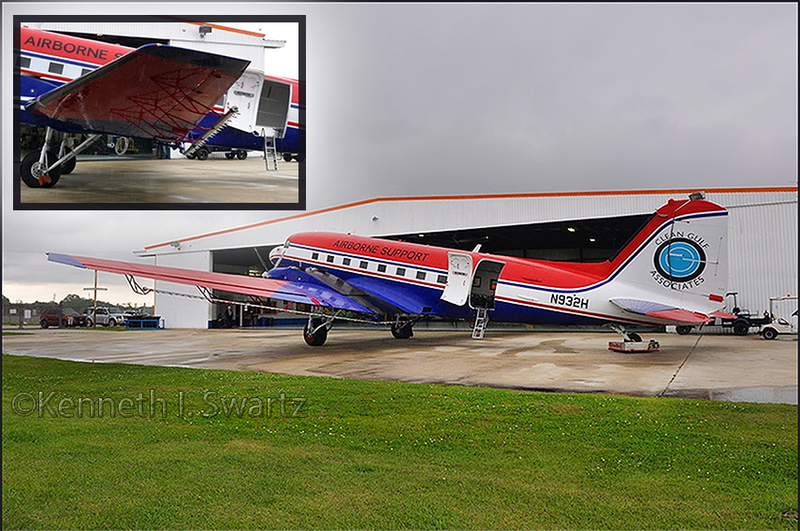 It was then sold to Raecom Air Ltd and headed north to its new base at Yellowknife in the Northwest Territories. For the next seven years it flew out of Yellowknife, on floats during the summer and on wheel-skis in winter. It was sold in August 1987 to Air Mont-Laurier (1985) Inc of Ste.Veronique - Lac Tiberiade,QUE. At that stage, its airframe hours had increased to 8,272 and it was described as being in 'rough condition', after many years service in the harsh conditions of the Northwest Territories. Between 5th and 7th August 1987 it was ferried Yellowknife-Stony Rapids-Thompson-Pickle Lake-Val D'Or-Laval for complete overhaul. On 27th May '88 it arrived at its new base at Ste.Veronique and entered service with Air Mont Laurier. Air Mont Laurier is a family business run by Norman Ouellette together with his wife and two sons, both bush pilots. As well as the Otter, the fleet comprised two Beavers and a Cessna 206. The aircraft were active during the summer months only, May to end September and were used to bring fishermen and hunters into the bush country to the north of Ste.Veronique. The company runs 4 fishing camps, the furthest away at Lac du Male, a flight of one hour 15 minutes. Each year, from mid August to end September, the Otter heads north to Fort Chimo, Quebec for the annual caribou hunt, before returning to base where it is stored for the winter. As at April 2001 the total time had increased to 13,031 hours. The Otter was still in service during the summer of 2004 and as we can see continues to do until the present day (2016). Source: 'DHC-2 Otter - a history' by Karl E. Hayes (published 2005, with subsequent updates in 2007 & 2008). Note that the DC-3 is painted grey and only on this side; apparently it had graffiti all over it. Montréal/Saint-Hubert Airport (IATA: YHU, ICAO: CYHU) is located in the Saint-Hubert borough of Longueuil, QUE.. 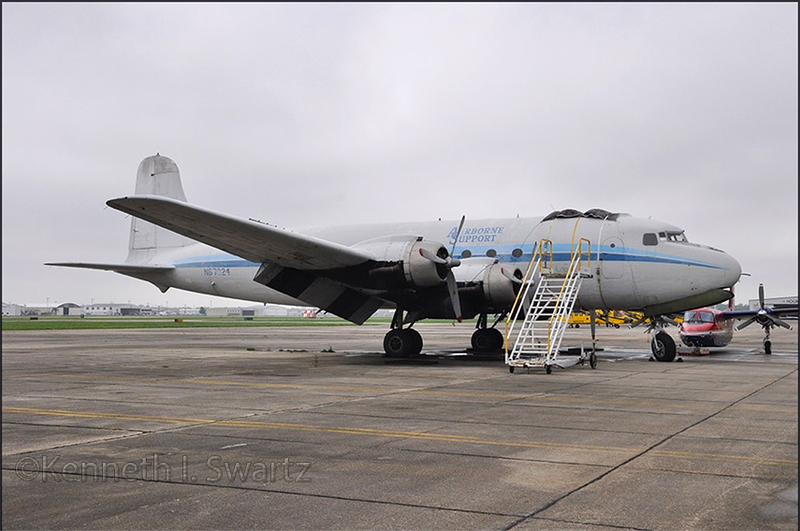 The original plan was to establish a museum and Aerovision acquired a DC-3, Canso and Viscount. The museum plans suffered a set back when the St Hubert air base was sold. 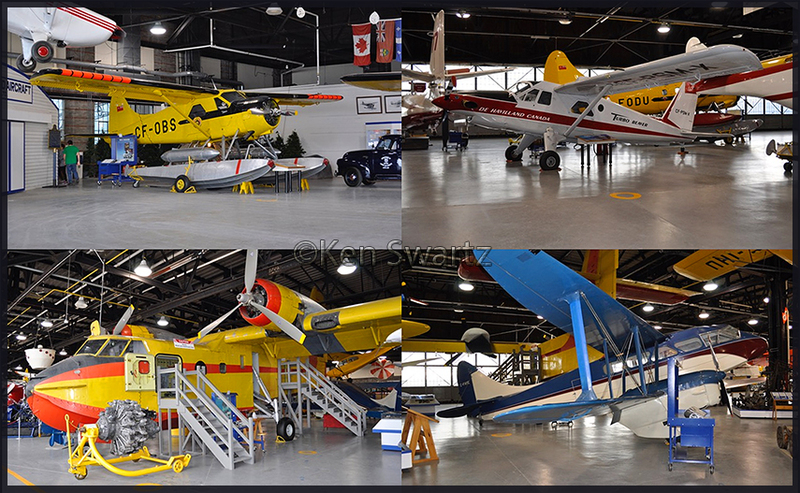 Fondation Aérovision Québec (FAQ) shifted its focus to the creation of a Quebec aviation hall of fame and the Viscount was sold to a college in Laval. 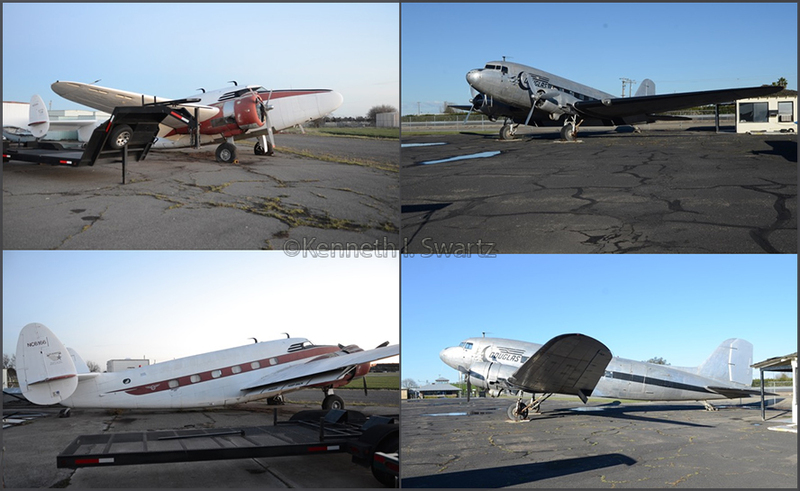 The DC-3 and Canso are still stored at St Hubert airport. 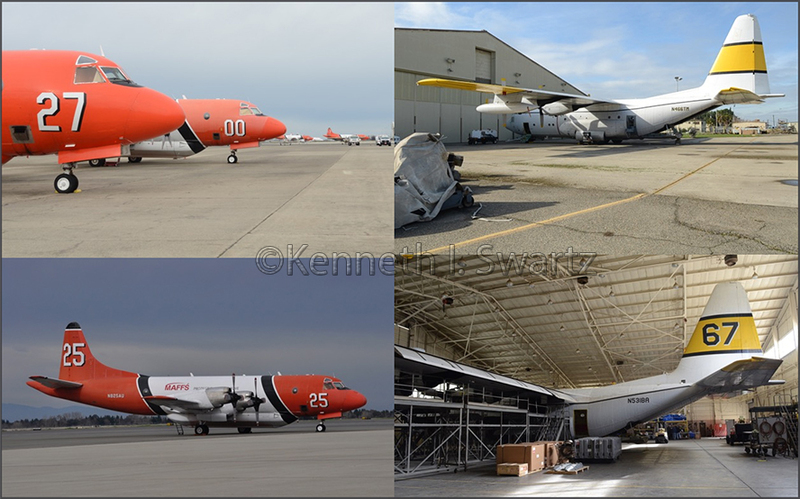 See how I found these aircraft on my US-Canada 2009 trip. 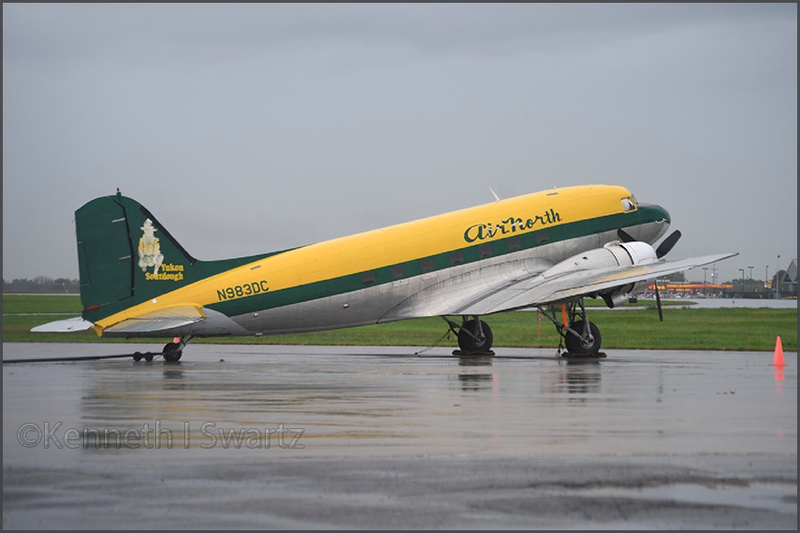 C-FDTD Douglas DC-3 MSN 12253, Avialogs - Saint-Hubert, QC - CYHU - 20-05-2017. pierregillard.zenfolio.com/Phase 1 restoration - unfortunately it did NOT work out.. This project did not work out and in Dec.2018 C-FDTD was put on eBay: buy or it gets scrapped! I thought N584E to be a candidate (reported Opa Locka/KOPF 10Nov2010, all white and no titles), but that one was reported in 2011 as "On 11/03/2011 it left for Guadalajara, Mexico MMGL and was subsequently parked there still in an all white colour scheme. During January 2012 it was re-reg as XA-UPL and reportedly about to join the Airlink fleet." 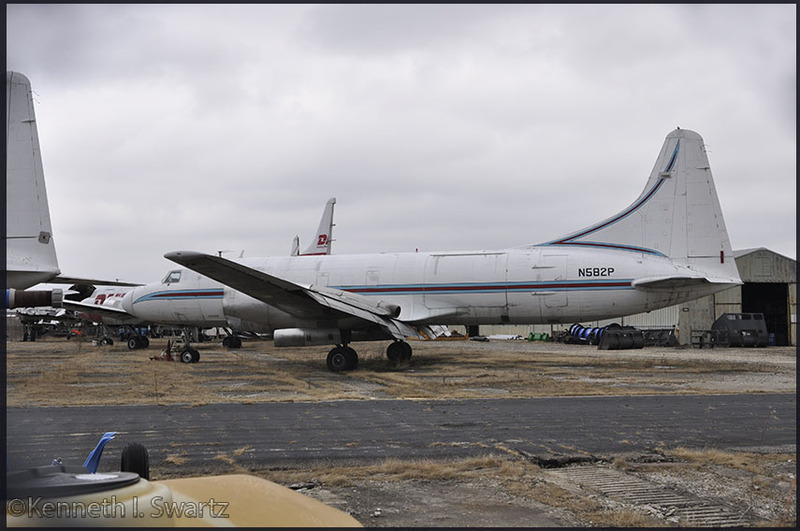 N581P (c/n 29) was all white in 2014, but reportedly stored at Opa Locka.FL (2014 image). Next I thought N582P a candidate, but I have that one as 'at Columbus-LCK 28Sep2007 minus tail'. Then I looked down at the next photo and there it is on this very page (repaired!). And N585P? Can't be because Kenneth Meegan has it (here, a/w & stored in 2014) on Flickr and during the same visit had the unmarked also, here. The AoC of Air Tahoma revoked in Jan.2009, after a CV580 crashed on a post-maintenance test flight (probably N587X 01Sep08 - see ASN report) and subsequent audit. I ran out of 'stored @LCK' Convair on the ATDB.aero database... Anyone? See below copied thread of Classic-Propliners where N589X was offered a candidate! 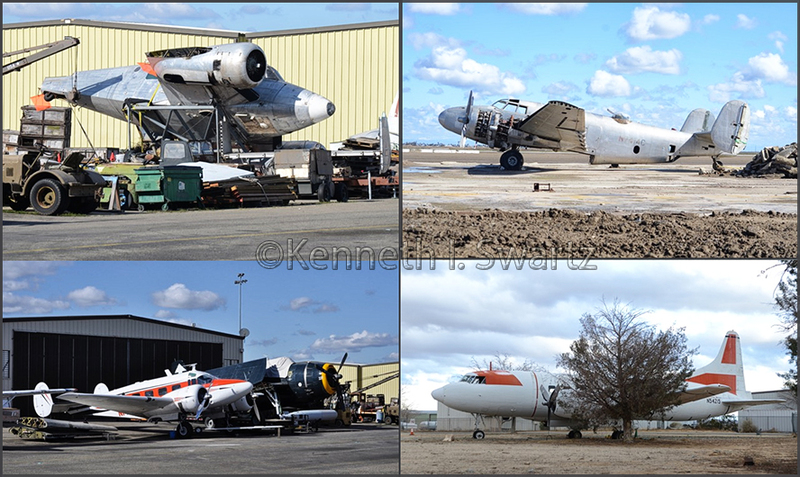 I photographed 8 Convair airframes in a fenced compound at LCK Rickenbacker International Airport, Ohio on 05Mar16. Assume most are ex-Air Tahoma. I've managed to ID seven of the eight aircraft, three of which had no tails. Still need to identify the all white CV580 freighter parked between between N582P and N585P? George Armstrong suggested on C-P: "The all white one I think is N589X, through a process of elimination. Mexico sale did not come to pass ('ntu'). Re-regd to N589X Inc, as N589X, date 19Jun14." Chris Trott posted:"N589X was supposed to be flown to Mexico as the spares aircraft for N584E and N588X (which became XA-UPL and XA-TRB)." Ex/C-GGWF, dlvd to EAT/DHL 22Jan1988 reg'd OO-DHL; current in 1996. Leased to Swiftair may00 as EC-HMS. Ln NCE 10Dec01. Ln @A.net 27Dec03 DHL @BRU. Rr 22Aug06 N589X (=Air Tahoma) N589X. Passed thru SNN 15Sep06. Ln Rickenbacker,OH ..Sep06 in DHL c/s. 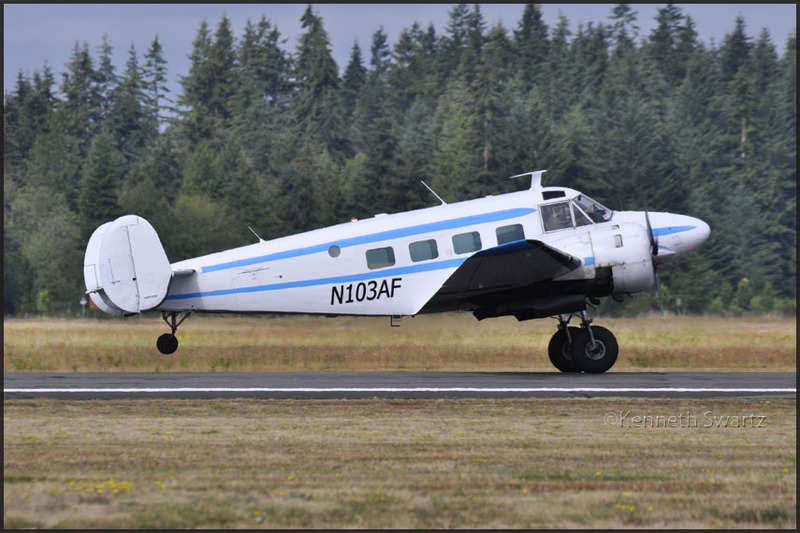 Reg N589X current on FAA's N-inquiry website, R19Jun14; no mention of exported. ./end. I came across N582P in 2006 at Vancouver Int'l Airport, while being unloaded. The Electric Boat Company bought of Groton,CT bought Canadair Ltd. from the Canadian Government after the World War Two. Electric Boat Company and Canadair became the nucleus around which General Dynamics Corp was formed in 1952. General Dynamics owned Convair and Canadair. When Convair cleared out the CV440 line in San Diego to build the CV880, the unsold CV440 and production tools and jigs were acquired by Canadair. These aircraft made extensive demo tours of North and South America and in Europe. One was also flown experimentally by Allegheny Airlines. And the two or three aircraft were later flown by Quebecair in 1961 and 1962. 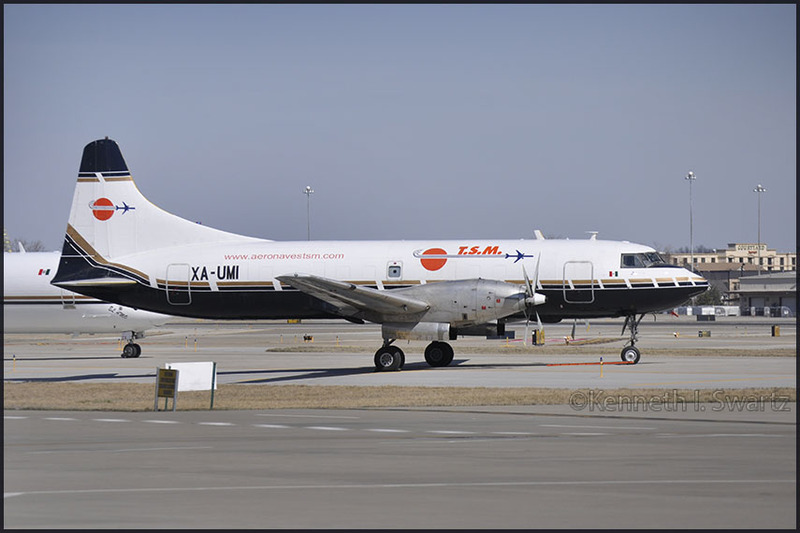 CF-LMN and CF-MKO were sold to Allison, re-engined with 501s turboprops and sold to North Central Airlines. The RCAF ordered 10 new CL-66s delivered with Napier Eland turboprop engines which were extremely unreliable. Seven of the 10 new CL-66s were later re-engined with Allison 501s. Two others 11155 and 11158 were used for spares and 11153 was destroyed during an oxygen fire during maintenance. (One can find info & fate of these CL66s on my page dedicated to my visit to Saskatoon in 2007). could not see it on the airframe. I first saw this aircraft when it was in service with Air Ontario." A.Avrane: "EC-GSJ was reg'd N590X 14aug06 but never applied." And while it was reported also on 02Aug05 I have 'B/u aug09, reg canx 01Dec10.' Hmmm, not quite broken up. N882P: a photo on Airliners.net + Flickr confirm the identity of this Convair C-131A Samaritan (240; c/n 53-23). 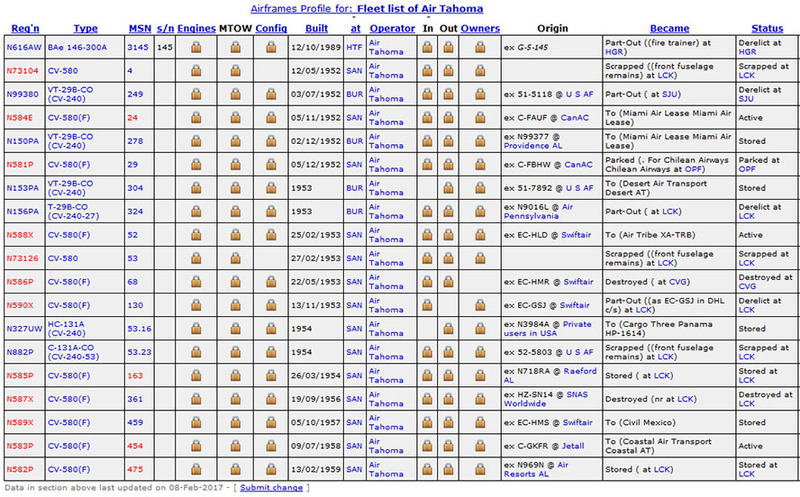 reported operating for Air Tahoma, based here at LCK. On 19Sep04 already reported @LCK: no tailtip, no engines..
More on Air Tribe and its owner, Noel Rude, see further down this item. I wondered how come N589X was reg'd in 2014 to (to N589X INC, but that was the signature of Air Tahoma’s operations) while Air Tahoma ceased operations in 2009. Chris provided a likely explanation: "Air Tahoma closed, but not because of bankruptcy. 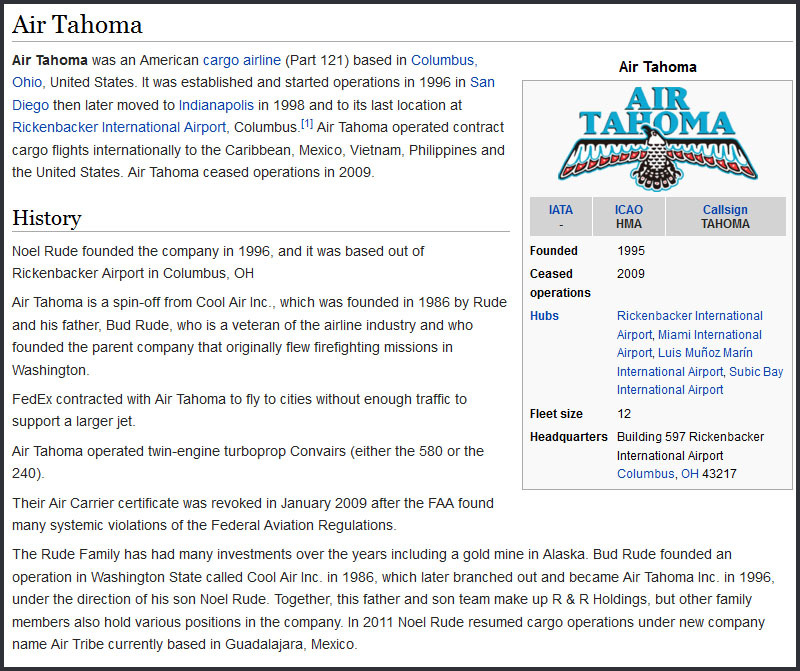 The airplanes were all owned outright by the Rude family business(es), and Air Tahoma ran as debt free as possible anyway, so I’m sure that small amount of time between closing it and getting Air Tribe going wasn’t a big issue for them. I’m sure now the payment for storage of the remaining airframes is being paid from that operation anyway." Googling I came across the Linked In page of Noel Rude: "Owner, Air Tahoma, Inc. - Air Tribe Arizona State University Columbus,OH, USA." Subitems: Owner Air Tribe sep. 2011 – present / Air Tahoma, Inc. may 1996 – present / Owner R&R Holdings jun. 1990 – present / Owner Cool Air jun. 1986 - President Flying Fireman sep. 1985 – present." That 'Arizona State University' is where he got part of his training (MBA 1984-85). On a forum I found quoted: "Guadalajara, Mexico,- USMX AirLink (www.usmxairlink.com) announced today that it has formed Air Tribe; a new division dedicated to air cargo and specializing in ACMI and ad-hock [sic] regional cargo. Air Tribe will start by offering small jet and large turbo prop solutions throughout Mexico and its surrounding neighbors. Air Tribe will be headed by Noel Rude, a long time veteran of the aviation industry, with the stated goal of making Air Tribe the leading regional cargo carrier in Mexico. Since 1994, USMX AirLink has built a global reputation for providing reliable cost effective air cargo services. Today, AirLink’s reputation as one of the industry’s most reliable ‘solutions providers’ with their own fleet, has earned the company a growing client base of international freight forwarders and logistic companies." [Airlink Executive quotes several types of aircraft at its disposal: Hawker800XP, Citation III, Lear Jet 40XR, Lear Jet 25D, Beechjet 400A & Pilatus PC-12]. The link between Airlink and Air Tribe/N.Rude is probably the first invested in the latter. While Noel Rude is CEO of Air Tribe, one Jesus Hernandez is the CFO. XA-TRB (c/n 52, ex/ N588X) and XA-UPL (c/n 24, ex/ N584E). Delivered new to Braniff in 1953 and N3417 went through various owners, ended up with Zantop Int'l Airlines, at Detroit-Willow Run,MI. By now a freighter, converted from CV340-32. Note the Rolls Royce Dart 542 engines. Zantop ceased operations in 1997. In Nov.1997 N3417 was reg'd to Century A/l, operated as C & M Airways (homebase El Paso,TX). I have a report on 18Mar02 at El Paso,TX as probly stored. 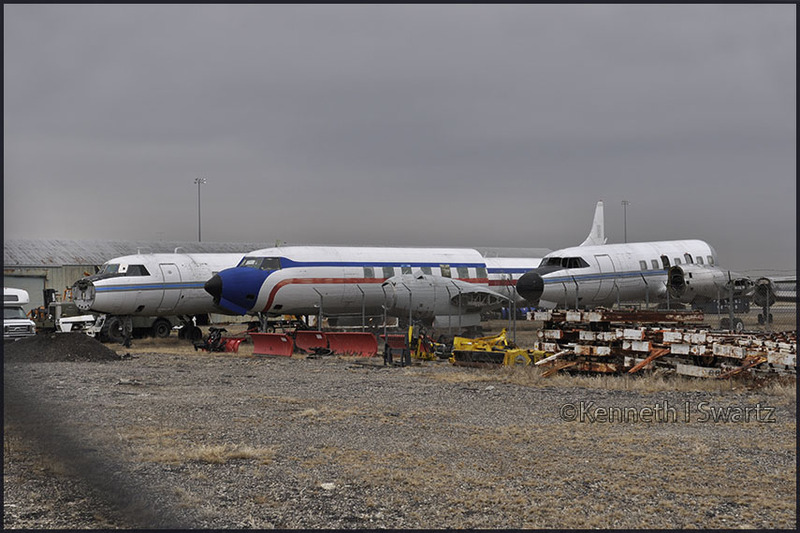 Again on 07Oct02 still at El Paso, reported all C&M CV640s stored/forsale and airworthy. Similar reports on 20Feb04 'std El Paso' and 15Nov07 'std El Paso', same 29Jun08. Then, as miracles do happen: sold to Aeronaves TSM, rr XA-??? by Frontera Flight Holdings 07Jul09 made official as reg'd 21Aug09 to XA-UMI. XA-UMI seems in splendid working order! Rolf Larsson sent me in Mar.2017 a photo of PH-CGD in Martinair livery, during the 1960s. It is another aircraft presently operating with Aeronaves, as XA URL. Photos by Friends & Guests (48). 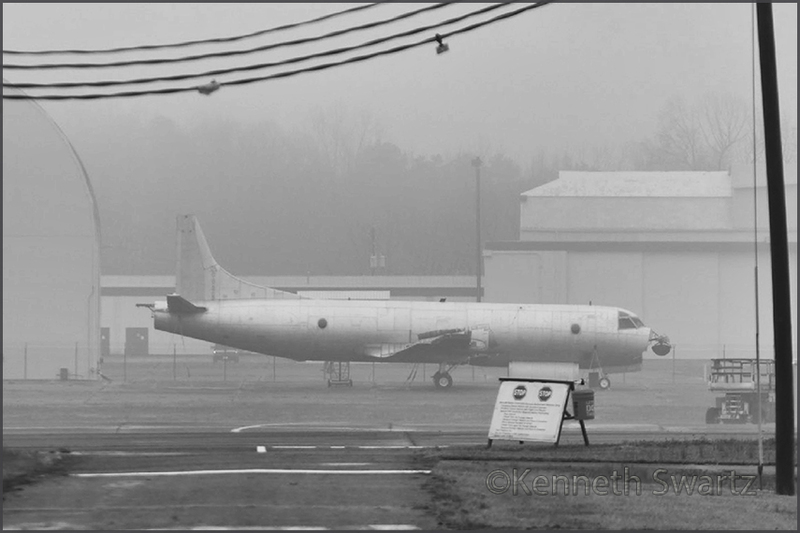 Lockheed L18 N119J at Bowman Field,KY (KLOU/LOU) on 27Feb2016. W.L Paris piloted this Lockheed L.18 N119J on its last flight into Bowman Field in Louisville, Kentucky on July 22, 1975. The aircraft was originally a corporate aircraft owned by Pratt & Whitney Aircraft or United Technologies (?). W.L Paris is the general manager of Central American Airways FBO, a family owned business at Bowman Field. N119J (c/n 18-2359) was stored by Casablanca Airlines. The Lockheed has sat on the FBO ramp now for over 40 years! C-GRSB was noted stored at an inactive airfield, FB Uplands (nr Ottawa) during the early-1990s. 'RSB went to Innotech Avtn/Canadian Center for Remote Sensing and reported at Ottawa in march 1997. It was used for investigating the SWR111 MD11 crash in Sep.1998, though I have no details of what that would have entailed for this DC-3. 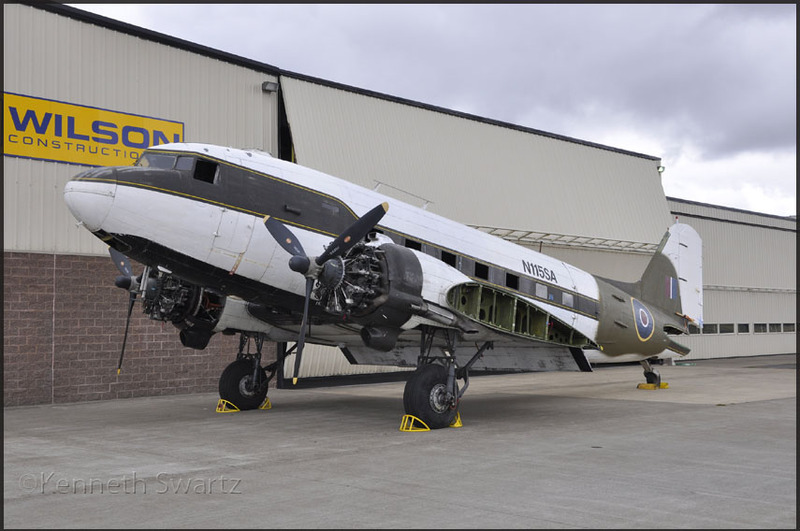 At some point it was donated by Environment Canada to Canadian Warplane Heritage; it is an actual D-day C-47! It participated at Normandy as FZ947 (RAF) named 'Kwicherbichen'; in Sep.1947 it joined RCAF 437 Sqdn, later became 12945 CAF with no.424 Sqd @Trenton. Probably ferried in 2014 to the museum. 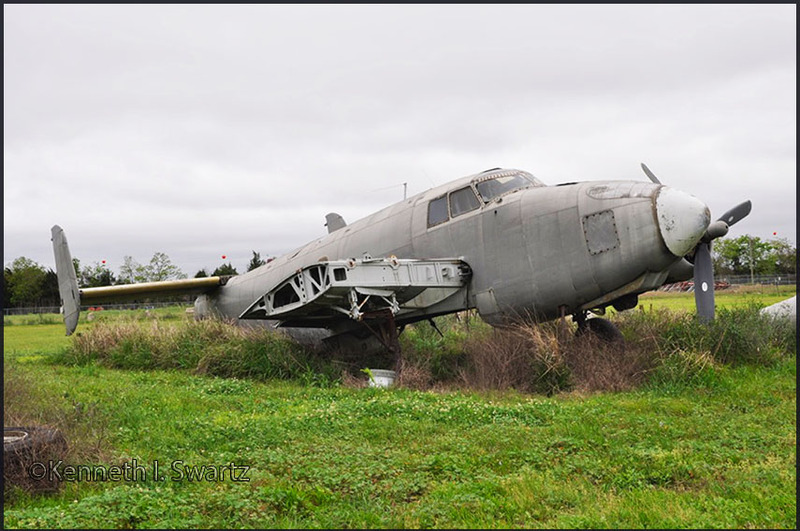 The use of this C-47 as a government airborne research platform between ca.1985 and 2014 is not very well documented and it carried several colour schemes during its years of service. 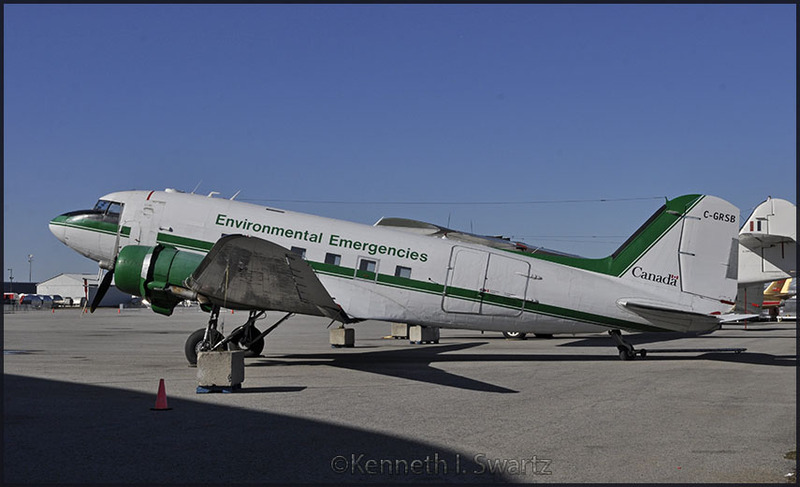 Department of Energy Mines and Resources previously flew a Short Skyvan CF-GSC (the registration refers to Geological Survey of Canada) and a Beech 65-B80 C-FWSG that were retired in the early 1980s (needs confirmation). Innotech Aviation received a contract in the mid-1980s to manage the flight operations and maintenance of the Department of Energy Mines and Resources DC-3, Falcon and Convair fleet based in Ottawa, while Canadian government scientists continued to utilize these aircraft for their research work. Canada was a pioneer in the airborne use of magnetometers to detect ore bodies. This gave rise to a large airborne geophysics industry which developed other airborne systems to detect mineral deposits, map vegetation, arctic ice flows and pollution such as oil spills. I believe that Environment Canada absorbed the Department of Energy Mines and Resources in the mid-1990s which may have expanded the scope of the missions flown by the aircraft to include anti pollution patrols. 'Uplands' refers to north end of Ottawa's MacDonald Cartier International Airport, which was established by the Ottawa Flying Club (which has been in continuous operation since 1928) and became part of the RCAF Uplands air force training base during the Second World War. The current Ottawa airport terminal and longer runways were built a couple kilometers to the south of the original Uplands area of Ottawa the airport, but the two parts are connected by a taxiway." 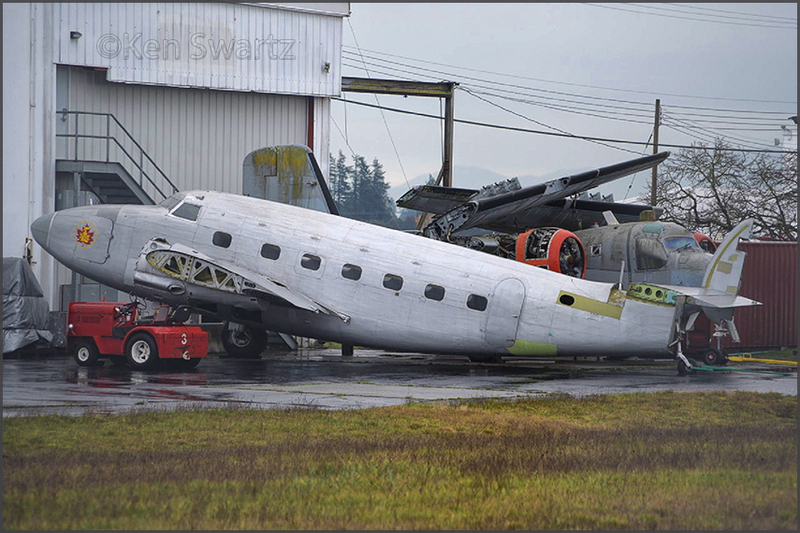 "Canso C-FPQK is being dismantled at RCAF base at St Hubert, by same guy who dismantled & moved the Vickers Viscount to Laval, btw." C-FPQK is being disassembled for transport south, to the USA, for the Collings Foundation. More on its history can be read on my page USA-Canada 2009, which was regularly updated. Ken wrote me late March 2017: "Just returned from my 5.000 km road trip to Texas and Louisiana in search of helicopters and propliners. Lots as helicopters but not as many piston or turboprops as I would have liked to see! 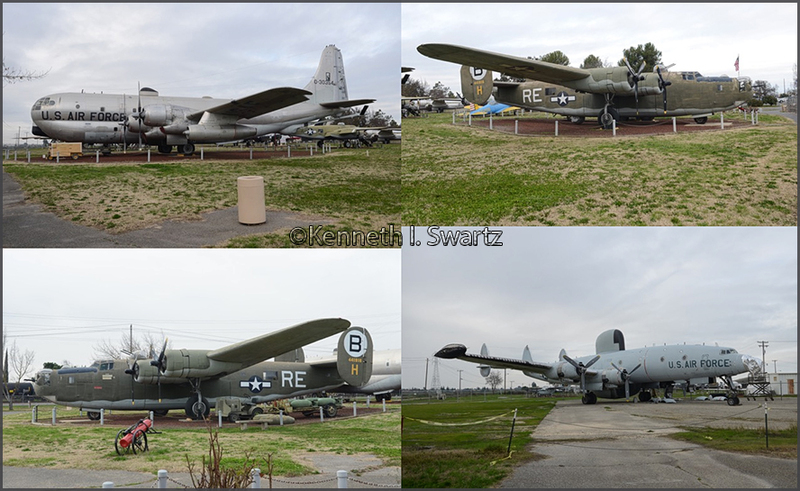 Here is a selection of props from Barksdale AFB, Abbevile and Houma,LA." 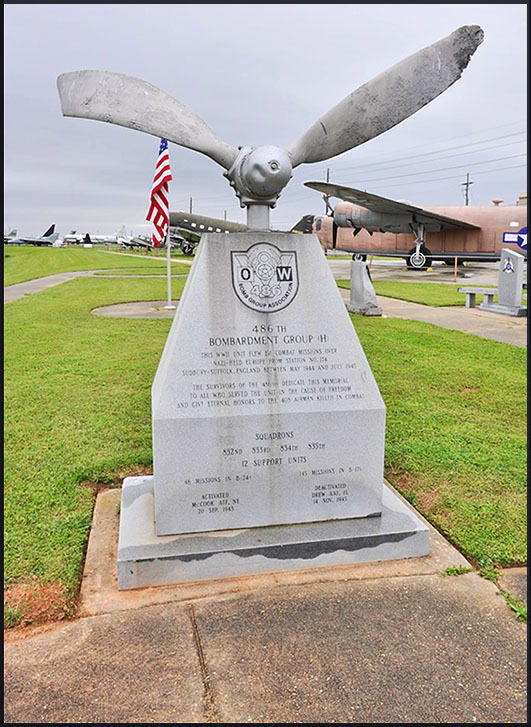 The Global Power Museum is located at Barksdale Air Force Base and is a major national repository of historic Air Force airplanes. It was formerly known as the 8th Air Force Museum until 2012. The facility features a series of indoor exhibits and displays, and an outdoor airpark of restored, historic aircraft and related equipment. 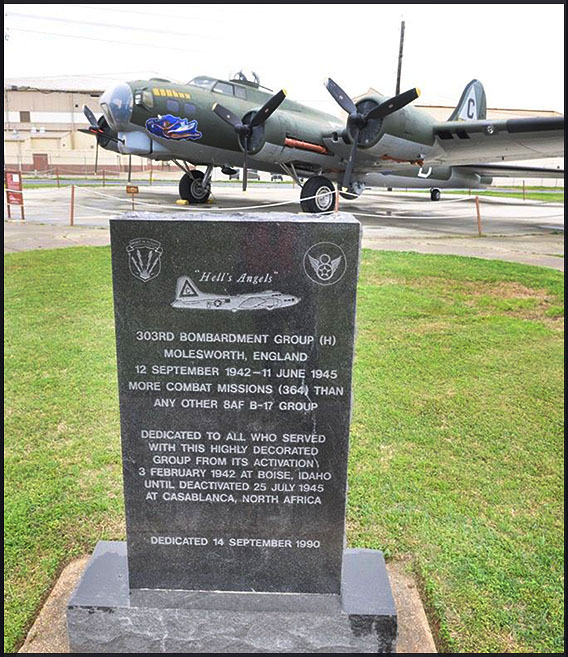 The airpark also includes numerous sculptures and monuments to various individuals and groups of the Eighth Air Force. It is one of nearly twenty official field units of the Museum of the United States Air Force located at Wright-Patterson AFB in Dayton, Ohio. Dedicated in 1979, the Barksdale Global Power Museum hosts 50,000 visitors annually. It is located at 88 Shreveport Road, in Bossier City, accessible via the North Gate Road. 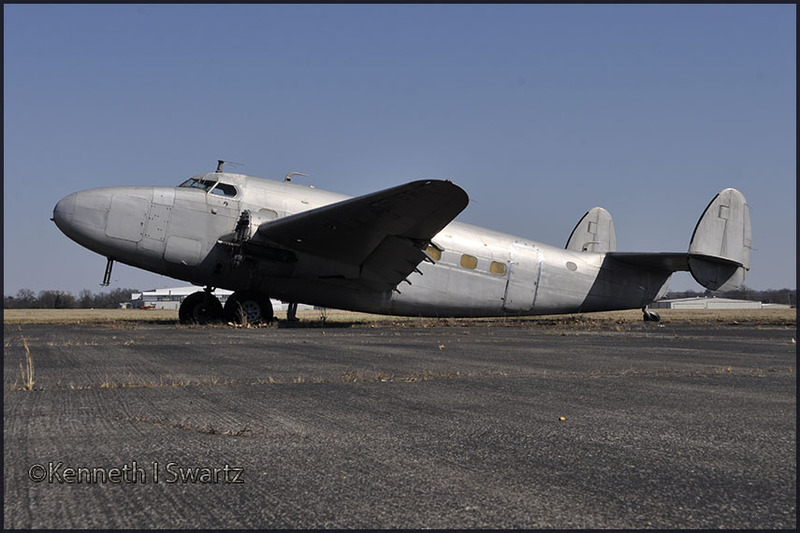 'This C-47A is on loan from the NMUSAF. It was flown for a short time in the Army Airforces and then flown to Spain under the Lend-Lease Agreement. It was returned to the USA and purchased as surplus in the 1970s. This Skytrain was flown to the 8th AF Museum in 1983. From www.airport-data.com/aircraft/43-16130: 'To civil registry as N86453, then T.3-33 with Spanish Air Force. Registered G-BGCF 20Nov1978 then N3753C Apr 1980. And from www.aerialvisuals.ca some add'l details: 'Ca. 1943 United States Army Air Force with s/n 43-16130. To unknown owner with reg'd N86453. Taken on Strength/Charge with the Ejercito de Aire with s/n T.3-33. 1978 to unknown owner reg'd G-BGCF. 11Apr1980 to West Air International, Monument, CO reg'd N3753C. 05May1983 Civil registration N3753C cancelled.' Rest as above. Joe Baugher USAF Serials 1953: '240 (msn 17022) to MASDC 07Jun1966. Returned to service Apr 6, 1970. After WWII Boeing developed the Model 367, a military transport airplane based on the B-29 Superfortress bomber. Its civilian counterpart was the Model 377 Stratocruiser. 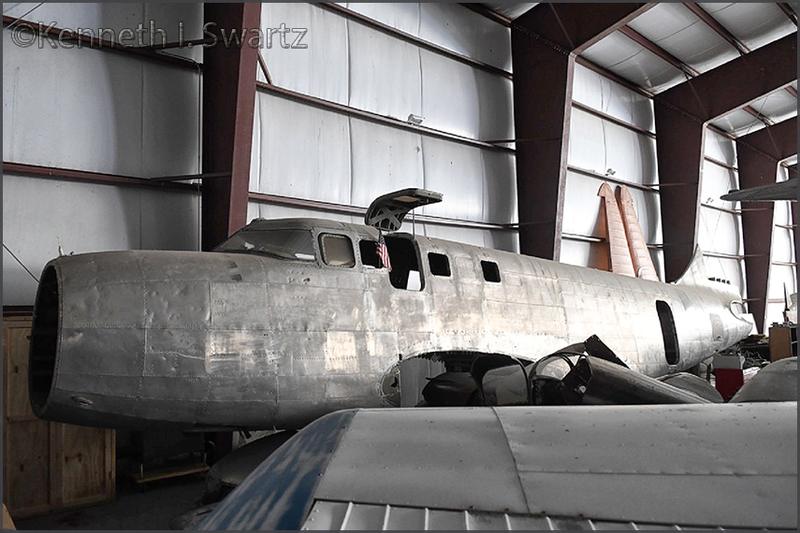 The C-97 Stratofreighter had a double-lobe fuselage consisting of two intersecting circular sections, so that the 74-foot-long upper deck had a larger diameter. 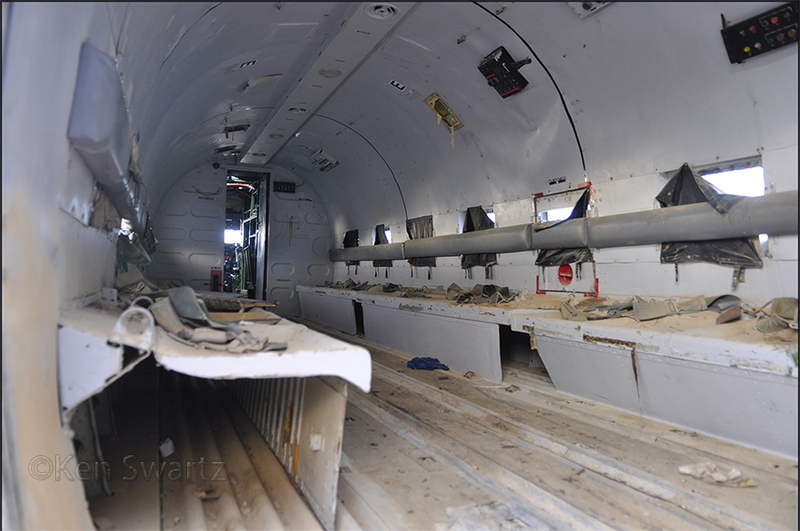 Cargo was loaded through large clamshell-type doors in the belly of the aircraft using a built-in ramp and a hoist. Its wings, engine gear and other parts were similar to the B-29. The C-97 was designated KC-97 when it was equipped with the Boeing-designed flying boom for aerial refueling -- the boom had controls so the boom operator could literally "fly" the end of the boom from the KC-97 aerial tanker into the receiving airplane. There were 888 C-97s built between 1947 and 1958. Of those, 219 were adapted as KC-97E and F tankers and 592 were KC-97G models. The KC-97Gs had additional 700-gallon external fuel tanks under each wing and could dispense 8.513 gallons of fuel while carrying 96 troops. 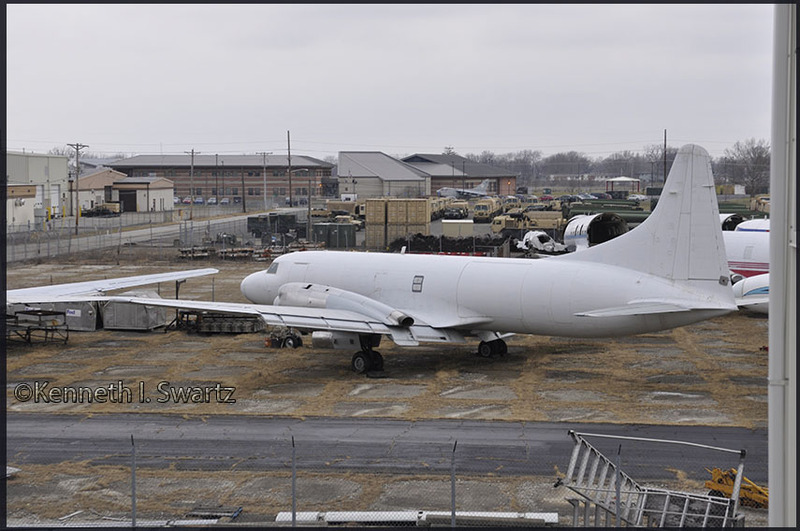 To keep its tankers compatible with its newer high performance jet aircraft, the USAF gradually replaced the slower KC-97 planes with Boeing KC-135 jet tankers after 1956. A total of 3.970 B-29 Superfortress aircraft were built during production at 4 assembly plants during WWII. the B-29 here at Barksdale. The Superfort was delivered as a B-29A during WWII, but served the war effort as a TB-29 trainer. After the war, the B-29 was stationed in England, where it was used to drop agents behind the iron curtain. The B-29 was reported to have been lost on several occasions. The B-29 was eventually retired to the US Army Aberdeen Proving Grounds, where it was in storage to be used as a gunnery target. 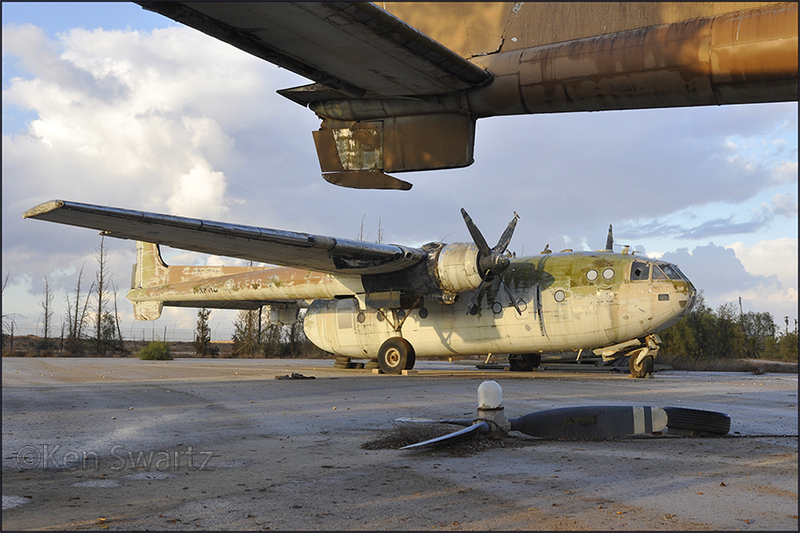 The B-29 was rescued by the museum before it could be destroyed. Nearly 13.000 Boeing B-17 Flying Fortress bombers were produced as part of the massive World War II military build-up. It became one of the most famous, and successful, airplanes ever built. 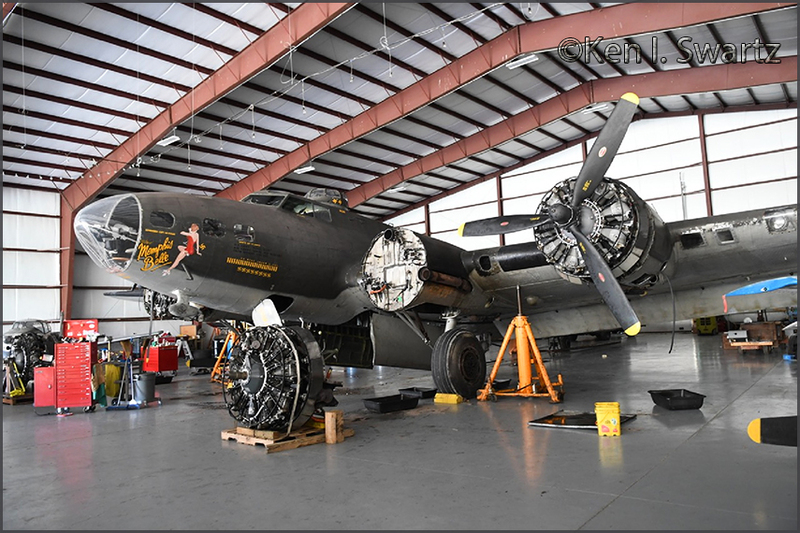 Today, a total of only 39 surviving B-17 airframes are located in the U.S., including the B-17G 'Miss Liberty' restored and on display here. 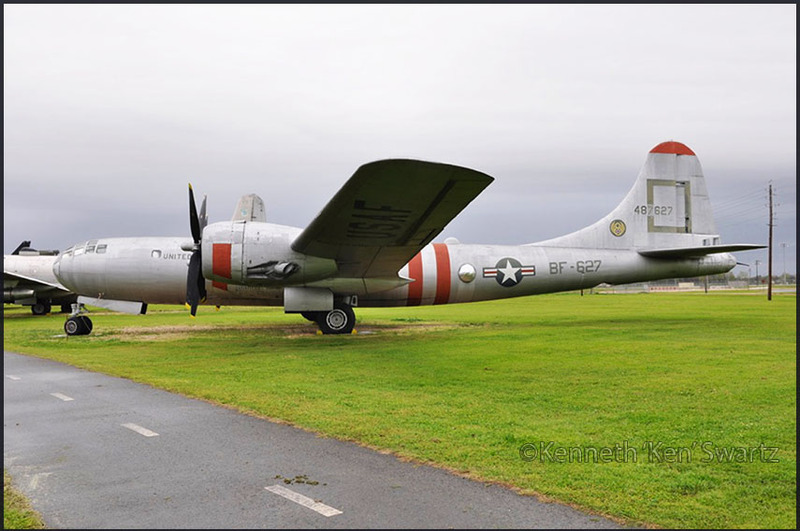 These PV-2's Ken found at Abbeville in March 2017 and are a bit rare on the internet I found; finally, through www.oldprops.ukhome.net I concluded them to be N6857C (15-1216) and N6853C (15-1125) resp. From the above link I quote a few remarks as it has quite a history and two decades ago still flew as a warbird..
04Oct1991 Certificate of airworthiness for NL6857C (PV-2, 15-1216) issued. That same month first flight. The accident occurred at the Lafayette Regional Airport (LFT) Lafayette, LA, United States while landing. The damage was substantial. The pilot also reported that the two handles are identical in size, shape and color. The PV-2 Harpoon was the most specialized and successful of Lockheed’s World War II bombers. Whereas the Hudson and Ventura had been adapted from airliners in ways that impaired their operational effectiveness, the Harpoon — though still based on the Model 18 airliner — was redesigned to the specifications of a single customer, the U.S. Navy, with larger wings and tail surfaces, greater fuel capacity, and weapons capabilities optimized to the Navy’s needs. After the war, the Harpoon found favor with civilian spraying operators, and most — possibly all — of the 25 or so aircraft that survive today served in this capacity. Of the survivors, 3 or 4 are airworthy and restored to military configuration, a few are static displays in museums such as the National Naval Aviation Museum, American Airpower Heritage Museum and Pima Air Museum, and the rest are scattered around airports in the U.S., still in unrestored spraying configuration and awaiting the attentions of restorers. 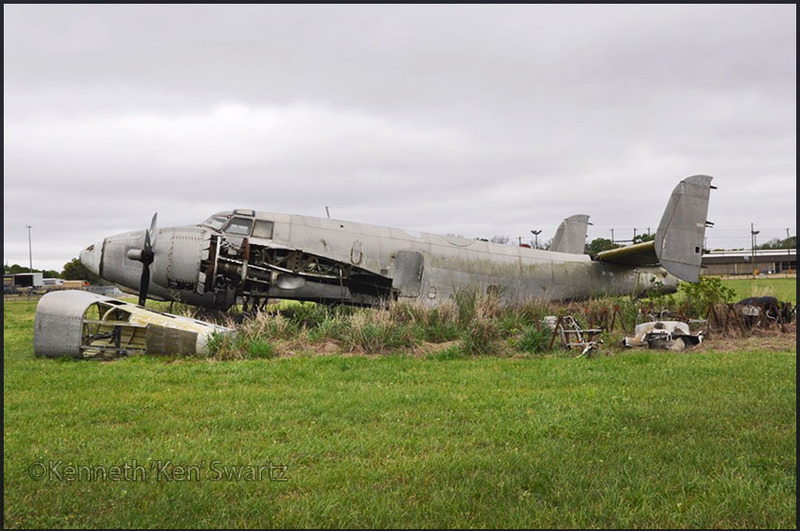 Lockheed PV-2s at Abbeville, N6853C (c/n 15-1125), a former sprayer and firebomber. Part ('projects') of Louisiana Military Hall of Fame & Museum (website) here at Chris Crusta Memorial Airport. 03Dec1985 - 1987 To Central Air Service/Bill Dempsay, Rantoul,KS. Sales of the 10–14 passenger Lockheed Model 14 Super Electra, which first flew in 1937, had proved disappointing, despite the aircraft's excellent performance, as it was more expensive to operate than the larger Douglas DC-3, already in widespread use. In order to improve the type's economics, Lockheed decided to stretch the aircraft's fuselage by 5 feet 6 inches (1.68 m), allowing an extra two rows of seats to be fitted. The prototype for the revised airliner, designated Model 18 by Lockheed, was converted from the fourth Model 14, one of a batch which had been returned to the manufacturer by Northwest Airlines after a series of crashes. The modified aircraft first flew in this form on 21Sep1939. When the United States started to build up its military air strength in 1940–41, many American-operated Lodestars were impressed as the C-56. The Lockheed Ventura is a twin engine medium bomber of World War II, used by United States and British Commonwealth forces in several guises, including maritime patrol. The Ventura was developed from the Lockheed Model 18 Lodestar transport, as a replacement for the Lockheed Hudson bombers then in service with the Royal Air Force. Used in daylight attacks against occupied Europe, they proved to have weaknesses and were removed from bomber duty and some used for patrols by Coastal Command. The US Navy ordered a revised design which entered service as the Harpoon for anti-submarine work. The PV-2 Harpoon was a major redesign of the Ventura with the wing area increased giving an increased load-carrying capability; first flown on 03Dec1943. On the PV-2, the armament became standardized at five forward-firing machine guns. Many early PV-1s had a bombardier's position, which was deleted in the PV-2. By the end of 1944, only 69 PV-2s had been delivered. They finally resumed when the redesign was complete. The first aircraft shipped were the PV-2D, which had 8 forward-firing machine guns and was used in ground attacks. When World War II ended, all of the order was cancelled. 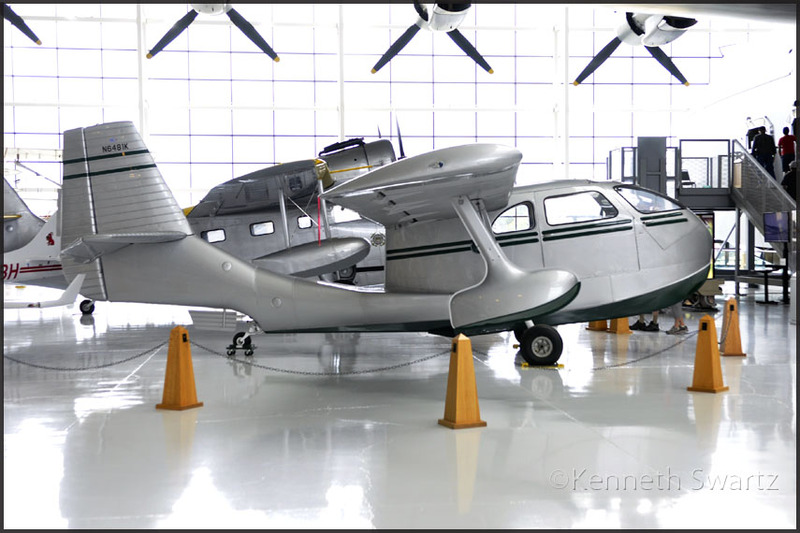 Early april 2017 Ken wrote me: "I photographed the CV580 at the Canada Aviation and Space Museum on the weekend." From my (RL) files: 'C-GRSC. Government/Dept of Energy, Mines & Resources; converted CV340-31. Reported @Ottawa Mar97. At one time operated as CF-BGY, last noted 09Sep71 London-LGW. CV340-31 c/n 72 N73134 United Airlines 'Portland' M15Apr53 D15May53; N400J Johnson & Johnson B26Nov58; cvtd CV580 (PAC26) D14Oct63; CF-BGY Great Lakes Paper Co, Thunder Bay,ONT B26Mar70; N8EG Sav A Stop Inc Jan73; Omni INvestment Corp 1974 (cx 12Jul74); C-GRSC Dept of Energy Mines & Resources, Montreal,QUE D27Jun75; Innotech Ltd (remote sensing). 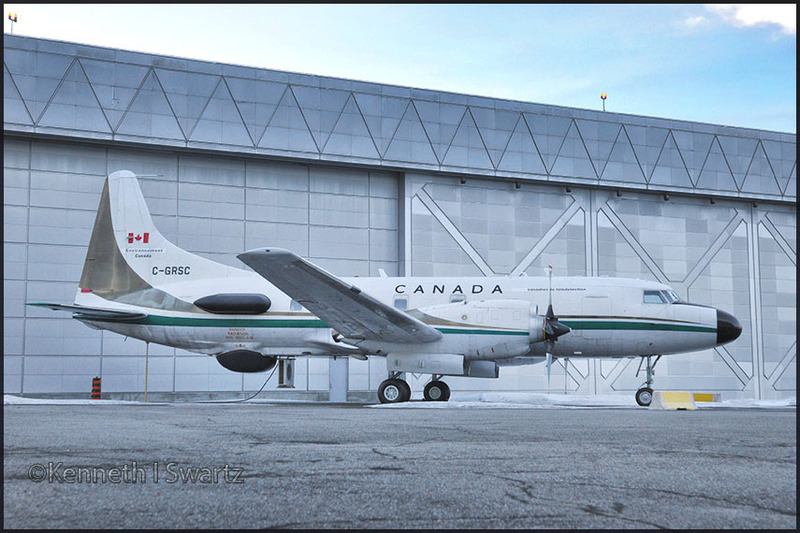 "After helping to precisely map much of Canada through radar remote sensing for decades, the Government of Canada’s long-serving Convair 580 C-GRSC joint the Canada Aviation and Space Museum’s collection. 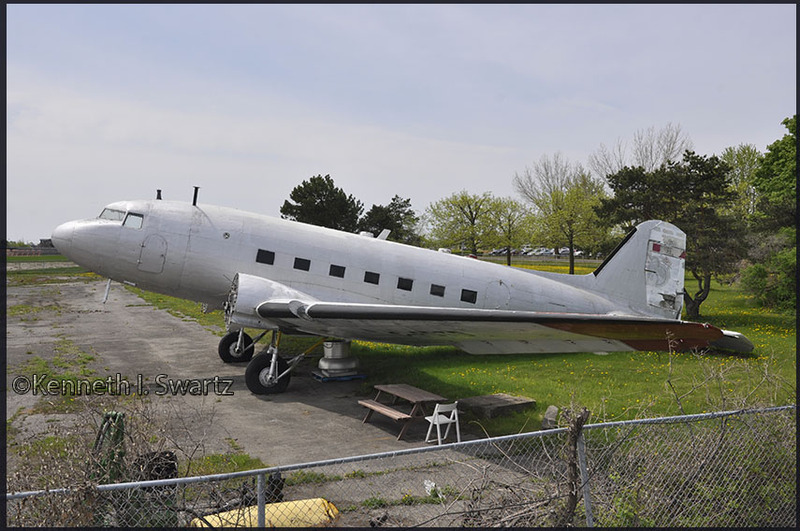 The storied aircraft landed at Rockcliffe Airport neighbouring the Museum 24Jun2015, carrying a precious cargo of scientific equipment. The Convair 580’s radar remote sensing equipment contributed to gaining a better understanding of the Canadian landscape and seascape, and yielded great benefits to sectors as diverse as forestry, agriculture, geology, hydrology, oceanography, ice studies, environmental protection, cartography, oil and gas operations, mineral exploration, and arctic navigation. Originally used as an executive transport aircraft by the Johnson & Johnson company in the 1950s, from 1974 until 2012 it served as an experimental radar remote sensing platform for various Government of Canada departments and agencies, such as Natural Resources Canada, Environment Canada, and the National Research Council of Canada. The rugged aircraft flew diverse research missions in Canada’s High Arctic as well as for the European Space Agency." Ken also sent me these images of a visit to Houma,LA in march 2017. 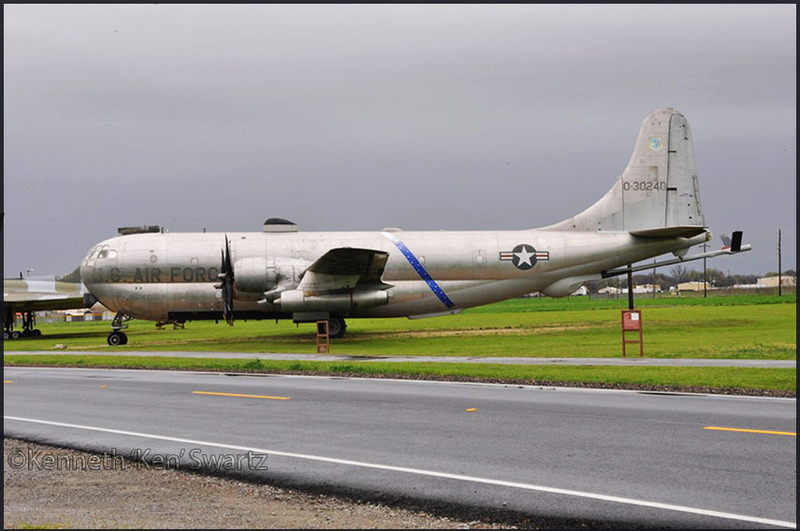 C-47B-DK N932H (c/n 34368/17101) at Houma, by Ken Swartz; note the sprayer installation! for Hoganair (a.o., as N90HA) before going to Miami Valley Aviation (reg'd N932H; ofMiddletown,OH). Reg'd 22Jul09 to Airborne Support Inc. of Houma,LA & ferried from OSH-Goderich on 15May09. Houma (see my Deep South report with a detailed history). 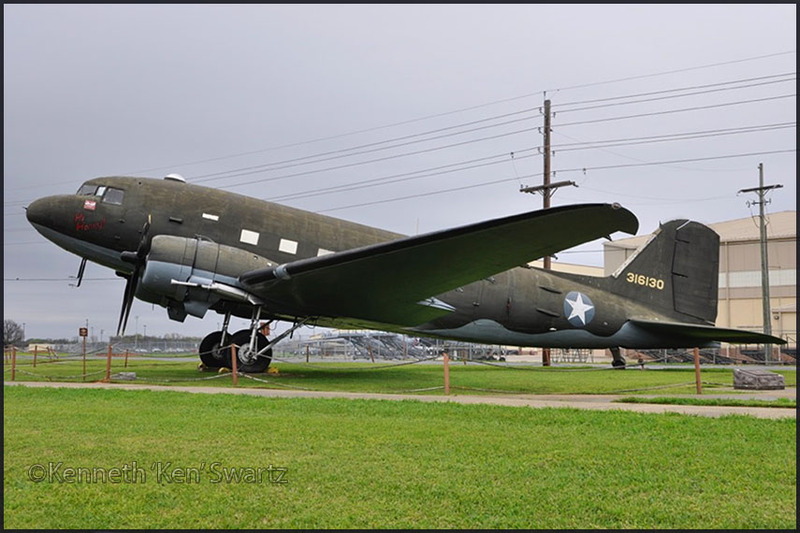 Douglas C-47A N64767 (c/n 10199) at Houma, also here the sprayer installation clearly to be seen. My Deep South report has a detailed history. 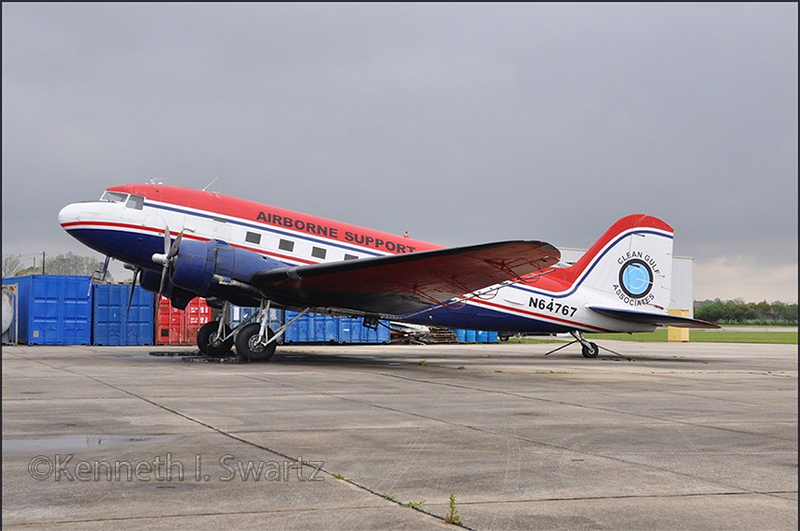 DC-4 (actually C-54D) N67024 (c/n 10550, line nbr 281) of Airborne Support at Houma (LA), by Ken Swartz. And also for N67024 one can find a detailed report when I came across in whilst travelling in these parts! 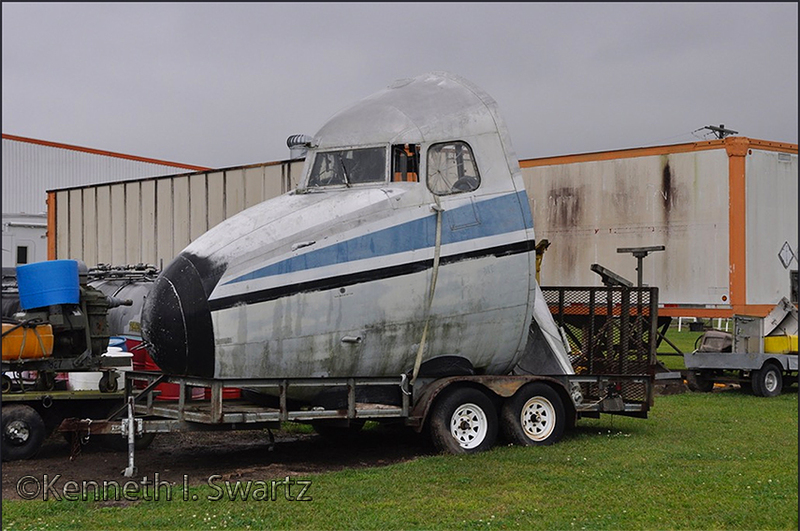 No doubt this forward fuselage here at Houma was acquired for parts, but which DC-4 is it; the reply is below. Here's a 20Jul2016 pic: www.flickr.com/ - perhaps we can create a timeline that may be of help. My money is on N67019 and here is how I came to that conclusion. On my Mesa-Falcon 2008 report I received an update by Bill Reid and 'cadet77' (on Photos by Friends & Guests 37) showing how N67017 and N67019 (both previously owned by Roger Brooks of Fairbanks,AK but he closed his business) were hauled away. is the one without the forward fuselage. Photos on JetPhotos.com (2012 and 2005) & Flickr.com show it just has to be N67019 here! The scrapping & move at Mesa-Falcon Field was in 2013 and 1st noted (afaik) in 2016, hauled in that time span. N7025J (c/n G-293, ex/ BuN.131910) was reg'd 19Apr2017 to Sky West Aviation Inc (Trustee). Douglas C-47 4X-FMJ/042 (c/n 33031/16283). Reported for sale in 2001 but found preservation at Hatzerim. 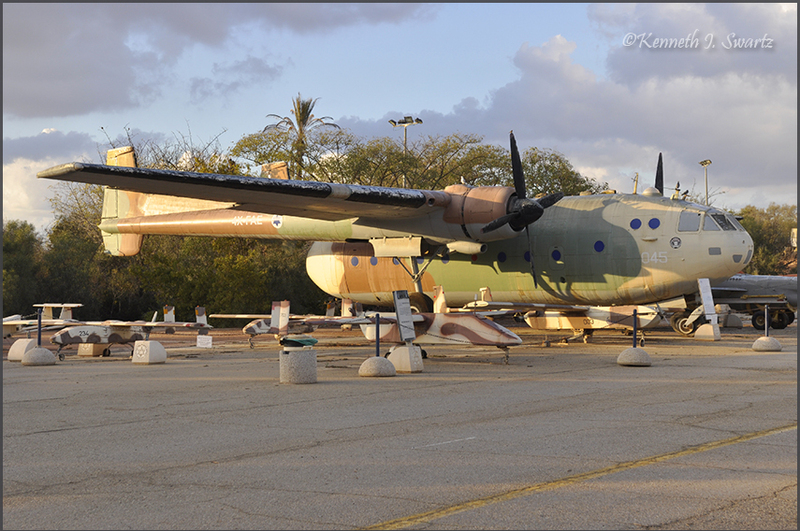 Nord N2501 Noratlas 043/4X-FAC (c/n 134) - preserved the Israeli Air Force Museum, Hatzerim AFB. This aircraft was previously used by the German Luftwaffe. The Nord Noratlas is a 1950s French military transport aircraft intended to replace the older types in service at the end of World War II. Several hundreds were produced in a run lasting over a decade, finding a wide variety of uses. 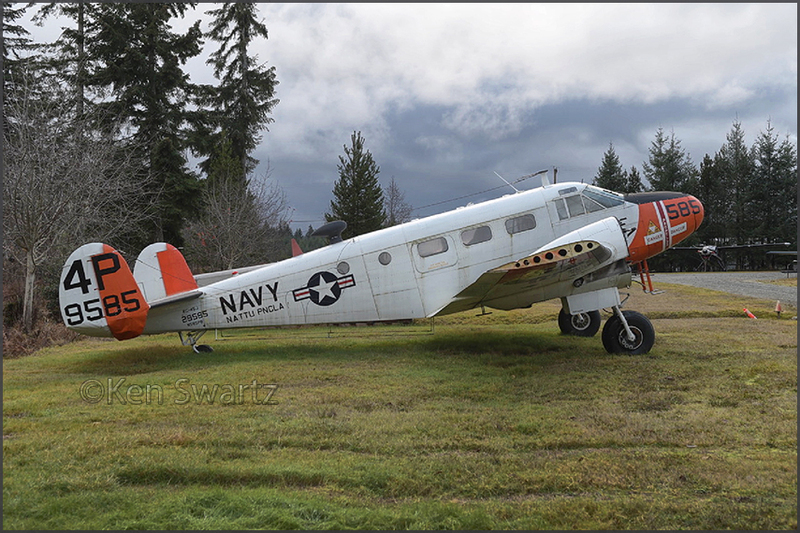 This is a selection of 'Propliner Highlights of March 2018', California/Oregon/Washington Aviation Tour - Ken Swartz. 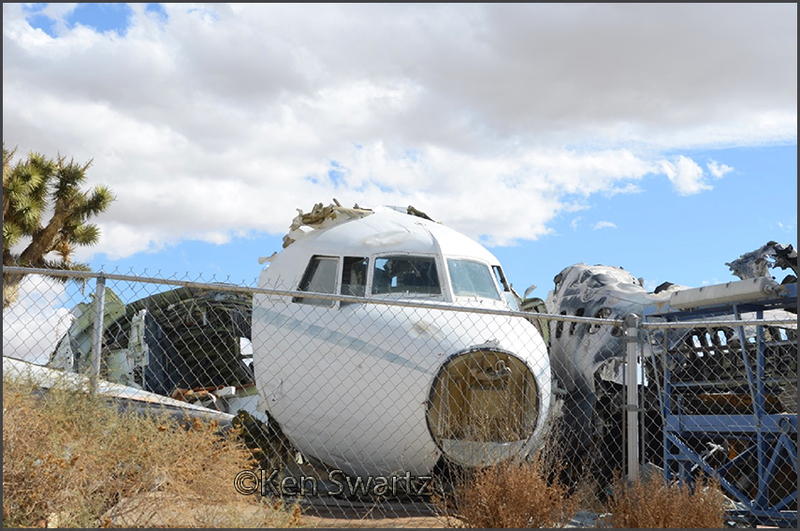 "These images were taken through the fence, from outside The Aviation Warehouse, next to El Mirage Airport,CA. The airport immediately to the north is a private facility used for military drone flight testing by General Atomics." Ken wrote in Oct.2018: "Here are some highlights from my recent road trip to Washington, DC with Gary Vincent. 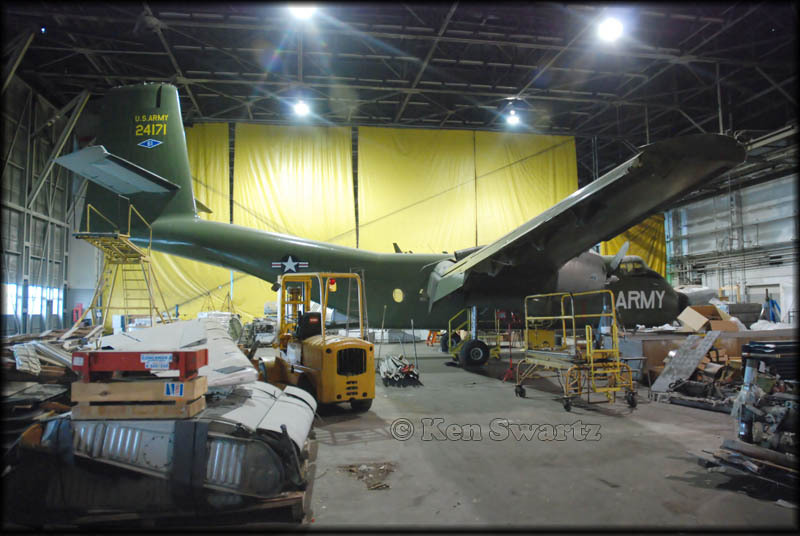 The C-119 at Geneseo has received new paint to restore RCAF colours and the dismantled Douglas B-23 was a surprise! 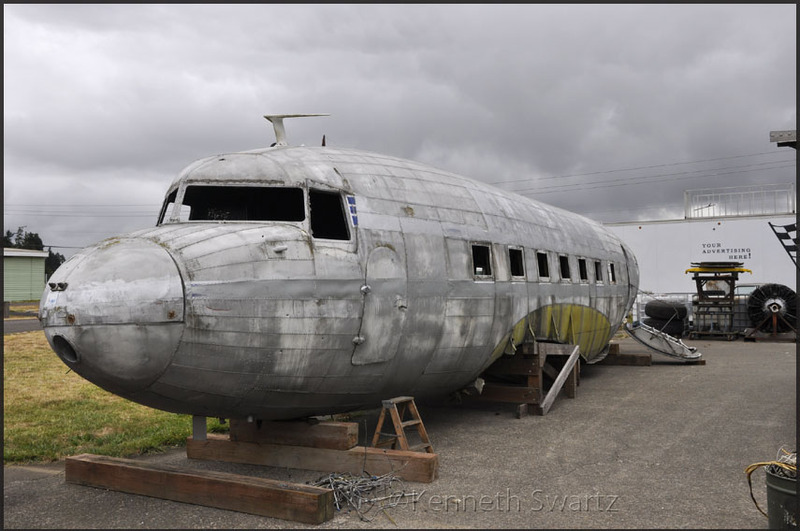 Curtiss C-46 at Glenn H. Curtiss Museum was bare metal when I last visited Hammonsport in 2008. 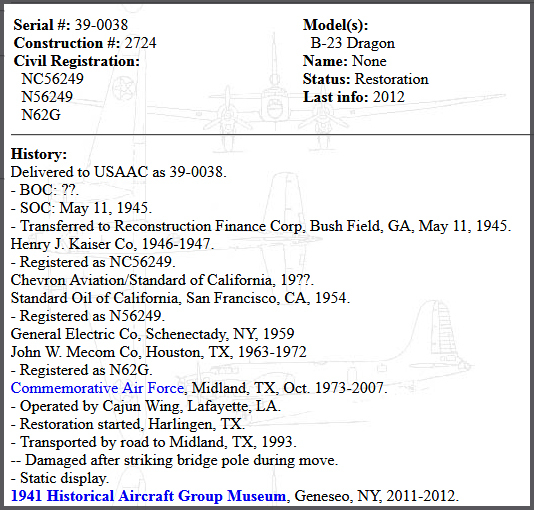 The 1941 Historical Aircraft Group at Geneseo,NY was formed in 1993 by former members of the National Warplane Museum. Since 1995 they have an annual warbird air show, which has become a well known event for afficionados. 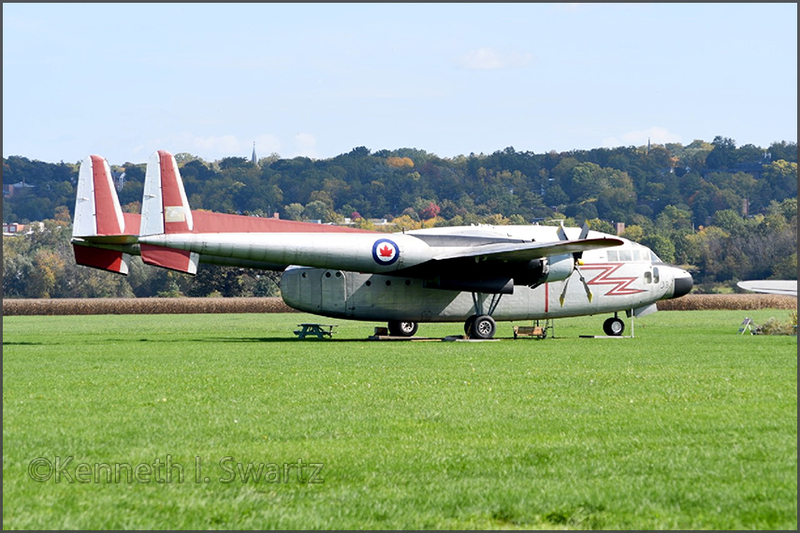 Former Royal Canadian Air Force C-119 22103, registered N8092 for ferrying, is displayed at the 1941 Historical Aircraft Group at Geneseo, NY. 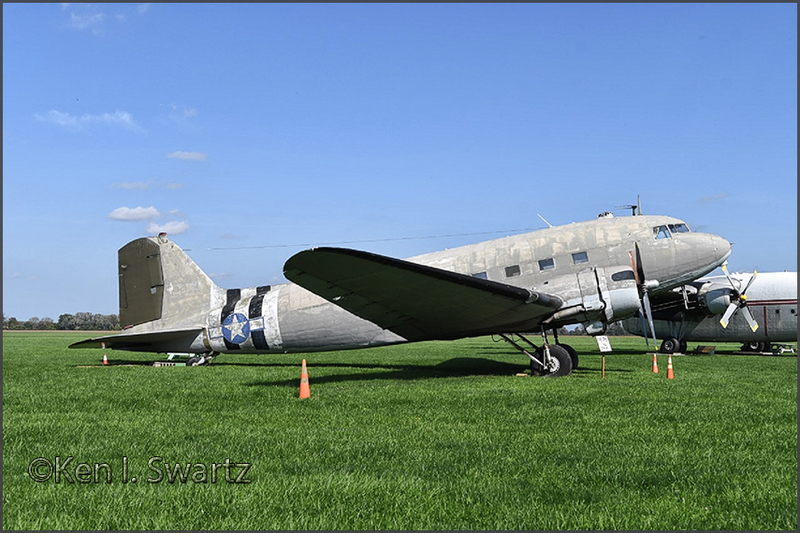 A detailed history of c/n 10678 can be found on my page HERE.. .
A tired looking Douglas C-47B N54602 / 43-49819 at Geneseo's 1941 Historical Aircraft Group. 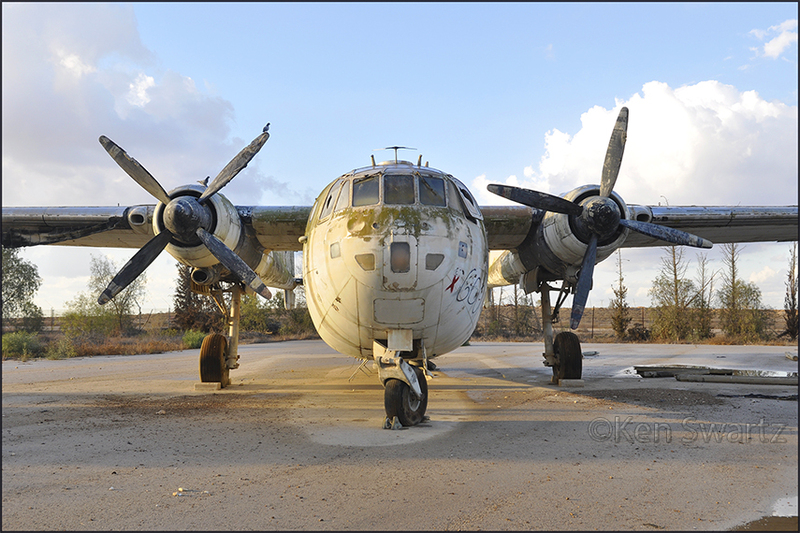 In 2005 it was still on display on the south side of Miami Int'l Airport, at the 94th Aero Squadron restaurant. it still reg'd to this owner), many of them on display at the time at 'theme restaurants'. See photo on Airliners.net. That nicely covered rudder is not a recent thing, I noticed a photo on Flickr dated 2013 where it was already in place. and given USAF serial 52-10539. On 14Nov2006 it was reg'd to Ashworth Corp Inc., of Geneseo,NY. during 2016, where she found a home with the National Warplane Museum’s fleet of operational warbirds. was the first operational US bomber equipped with a glazed tail gun position. On an hour's drive one arrives at the Glenn H. Curtiss Museum. C-46 4478772 at the Glenn H. Curtiss Museum in New York. On my page Photos by Friends & Guests #53 you'll find history of 44-78772, former N800FA. Nice to see it has now been repainted to a WW2 camo scheme. In a photo dated July 2018 I've seen it painted but did not had yet the markings applied. Good job. I came across this very Packet on H&P's ramp at Greybull,WY in 1994, part of the museum there! 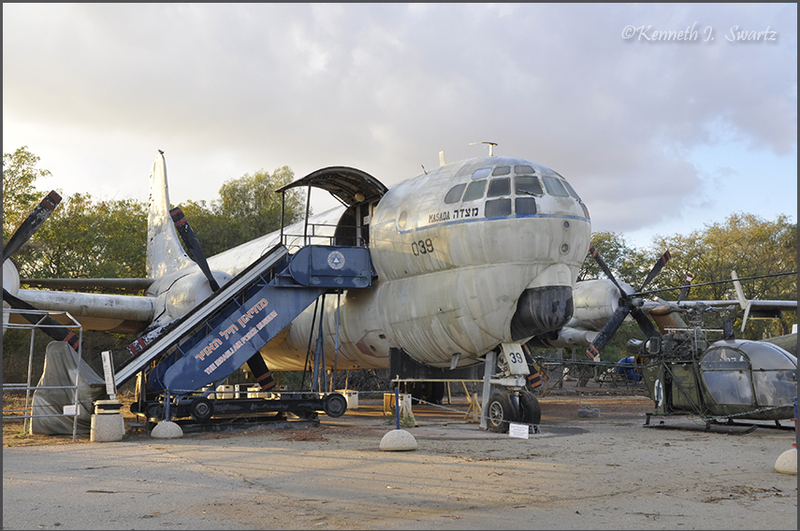 Fairchild C-119G Flying Boxcar (a.k.a. 'Dollar Nineteen'), N8093 (c/n 10776). Still in RCAF livery. 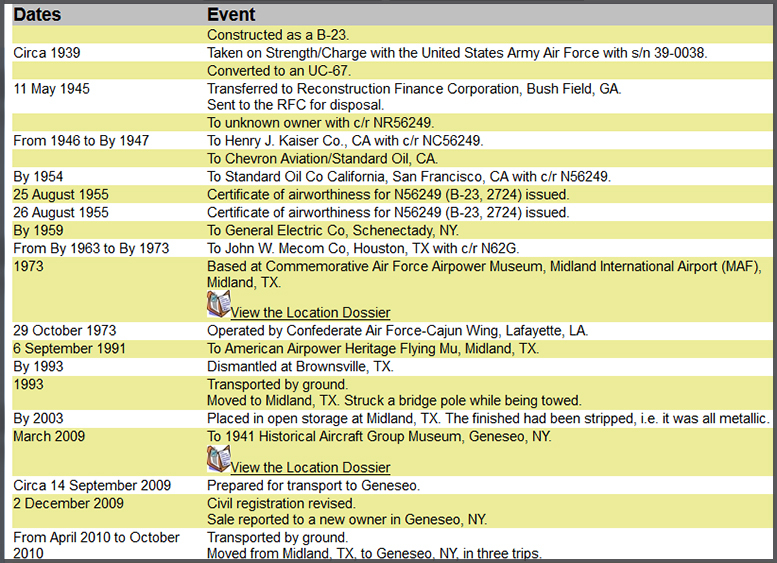 aircraft, both N9701F and N8093; see my C-119 Dossier page 2. Ralph had much better weather.. I remember N8093 from the Hawkins & Powers aerial firefighters days.. In 1994 I saw Tanker 140 stored at Greybull, ex/RCAF 22111. In 2001 I noticed a photo with the caption "being prepared for the boss to take to an air show". 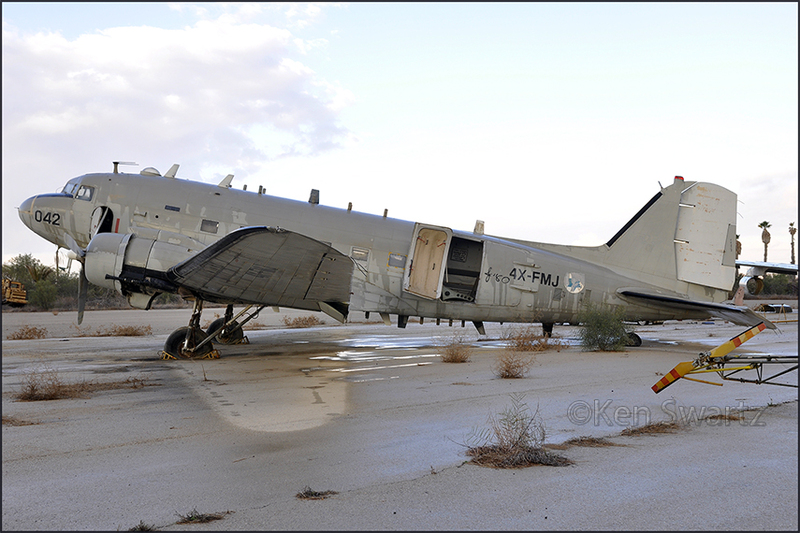 In May03 it was noted stored in the desert part of KGEY, still marked as T140. Reg'd 28Sep05 for the Pride Capital Group, Deerfield,IL and apparently sold at the large auction of the H&P inventory in Aug.2006. Donated to Hagerstown Aviation Museum by Bob Stanford/Zenith Aviation Dec.2006. Ferried during Nov.'08 to the Hagerstown Avtn Museum in Maryland. the 'Yukon Sourdough'-titles. Air North bought it in Dec.'79 from Eldorado Aviation. And before that it was flown by the RCAF, as 960. My records show it was for sale in 1997 and I saw it at Oshkosh's EAA Air show an year later, in Aug.'98. It was reg'd N983DC on 01Oct98 to EAA Aviation Foundation. N983DC was reg'd to Blue Ridge Piedmont & Chesapeake Aws (a Delaware adress) on 07Mar2003. 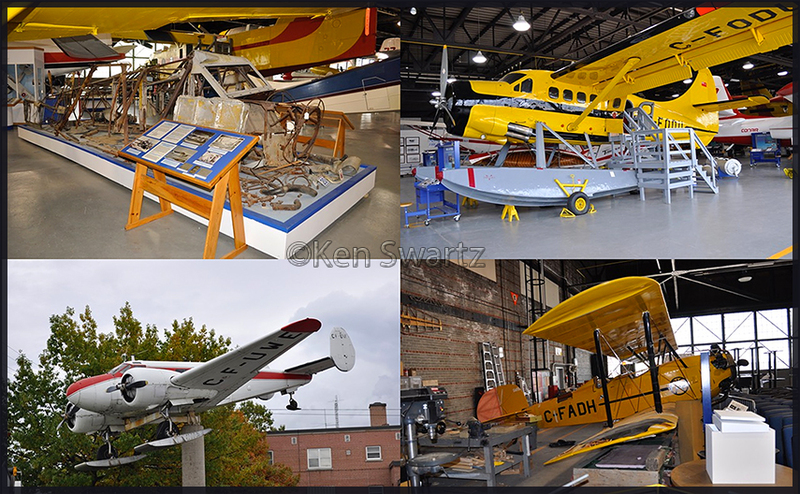 Ken shared a few images from his British Columbia trip in November 2018: Abbotsford, Nanaimo & Campbell River Airport & Seaplane Base. noted a landing incident 31Dec07 at Auburn,WA (struck runway lights). It had been registered to Michael E.
Kopp (Maple Valley,WA) on 27Jul07. Not sure if it ever flew again after that 2007 landing incident. FAA's Registry website shows 'N75018 is Not Assigned/Reserved' (April 2019). www.airport-data.com a 2009 photo, with turbine engine but aircraft showing no operator markings. Department of Transport and was at a museum in Chicago when acquired by the museum in the early 1980s. later at Langley Airport, beside an early pre-war DC-3." I must say its looks have deteriorated over the years! I also had much better weather! 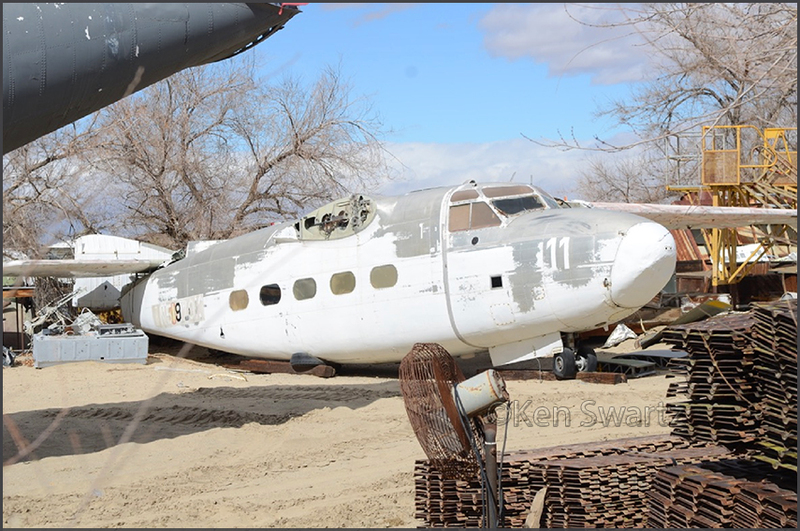 The yard also contained the wreck of a Sikorsky H-34 (S-58), US Army 54-3034 in very poor condition. 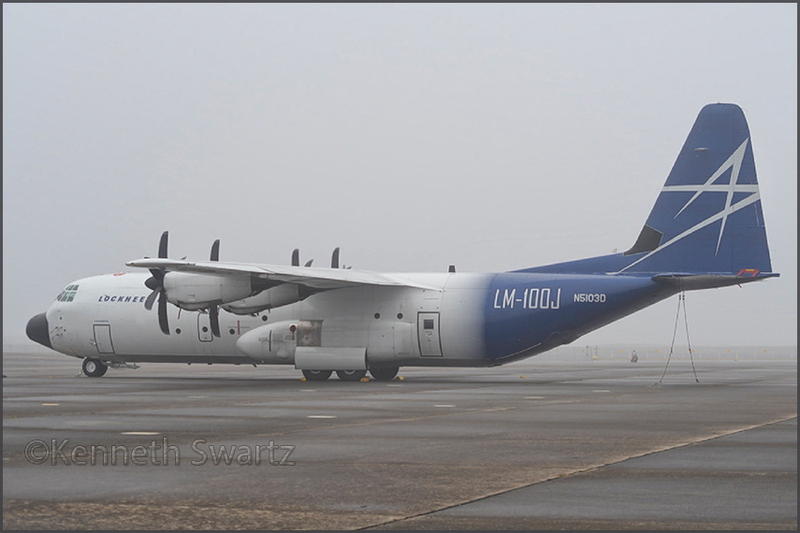 LM-100J is a civilian version of the C-130J-30. N5103D has msn (c/n) 5818.